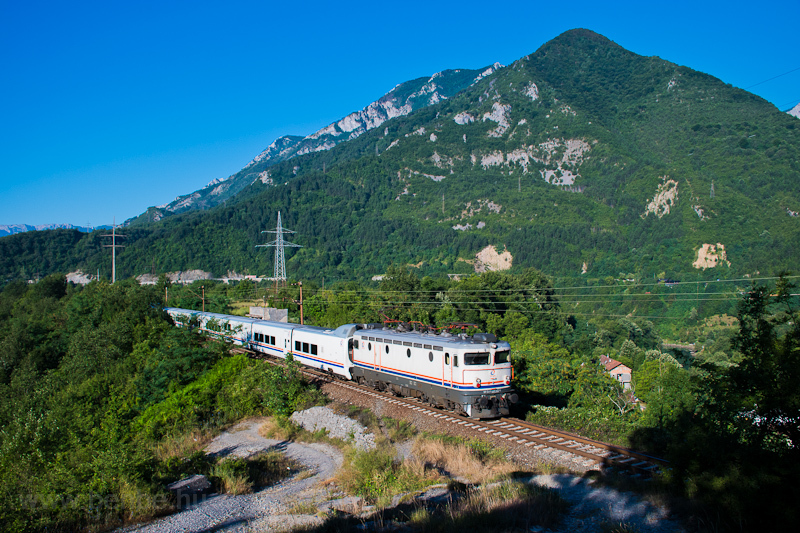 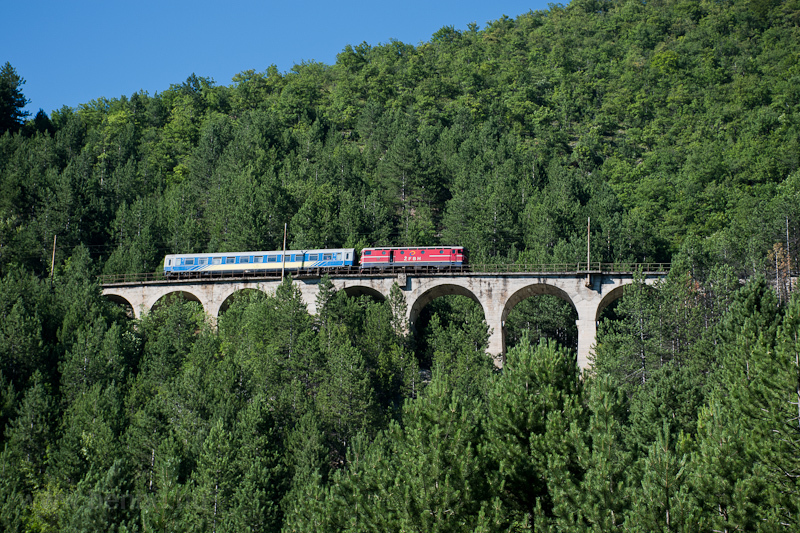 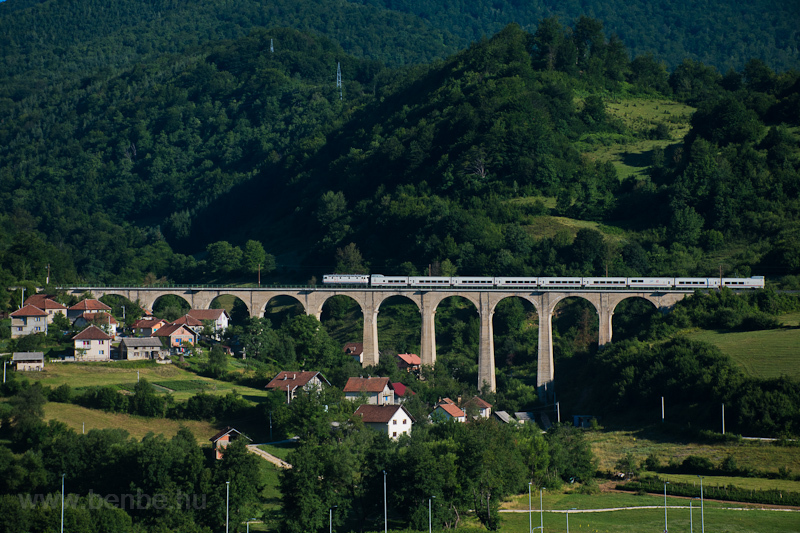 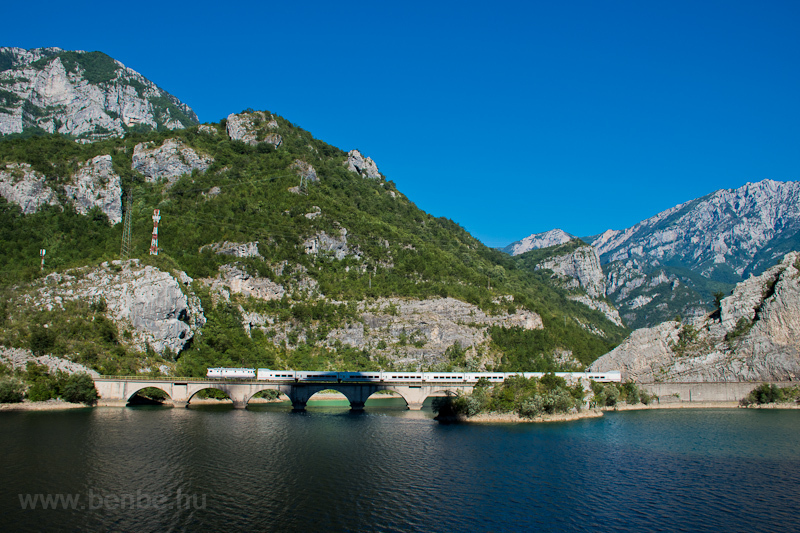 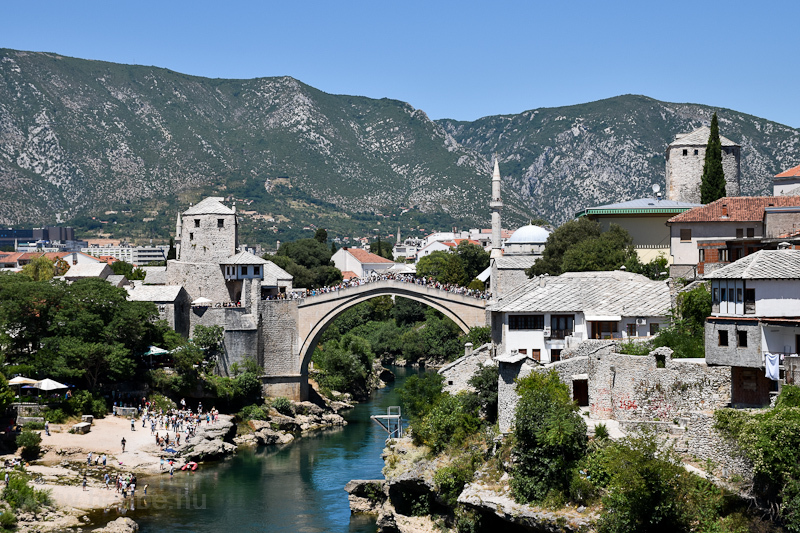 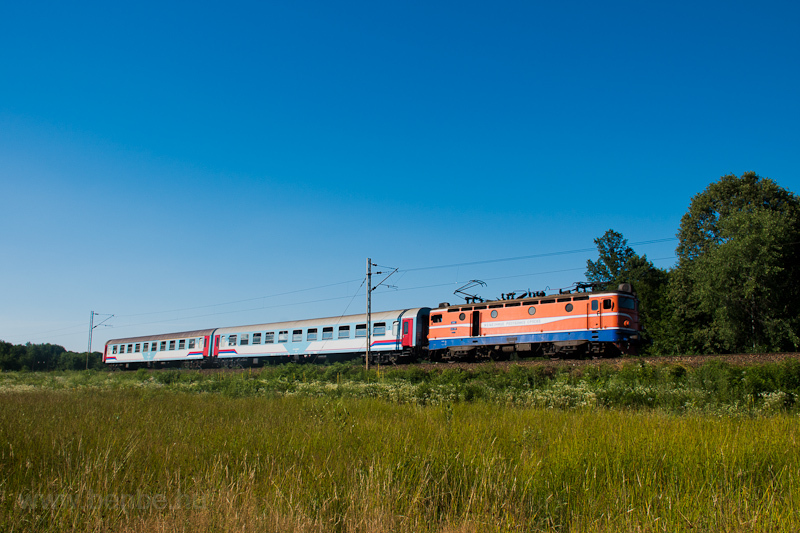 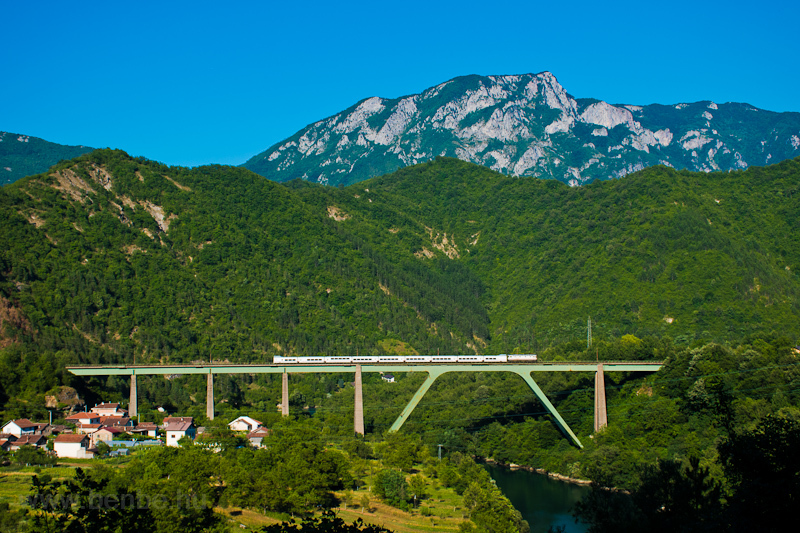 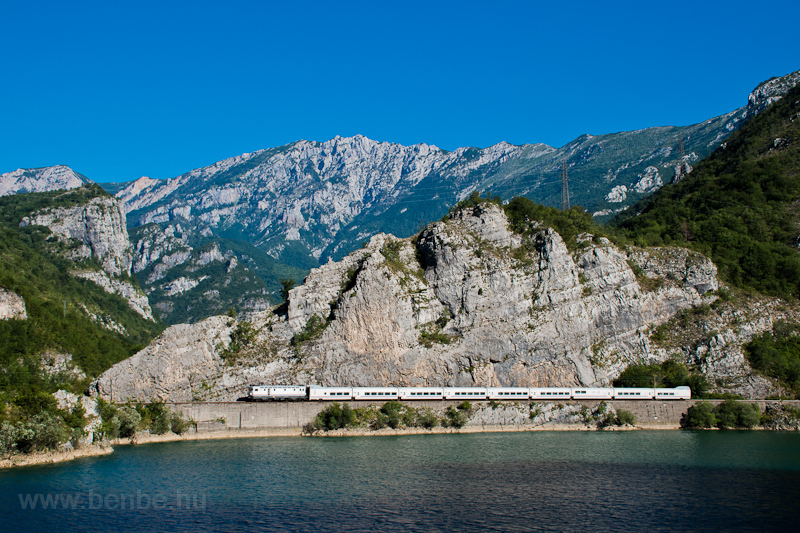 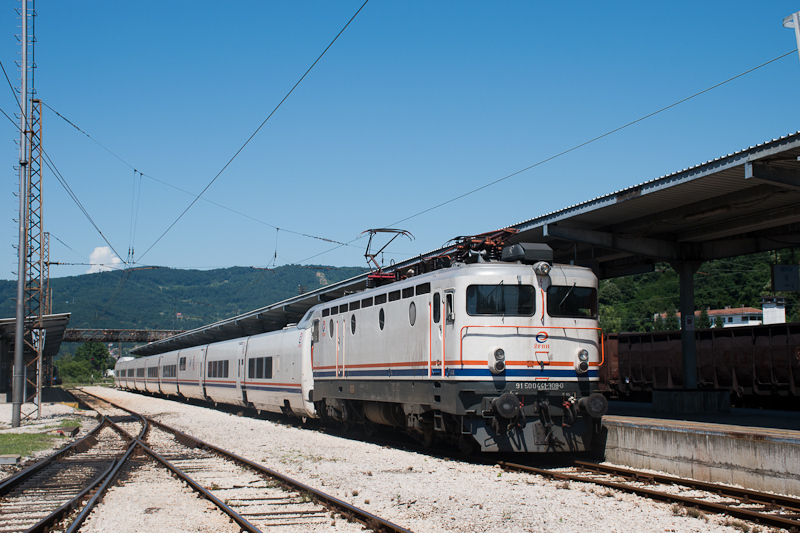 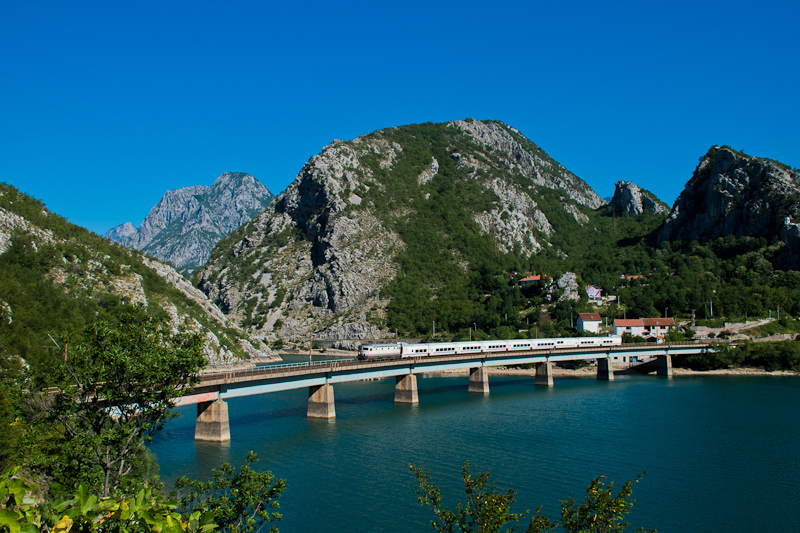 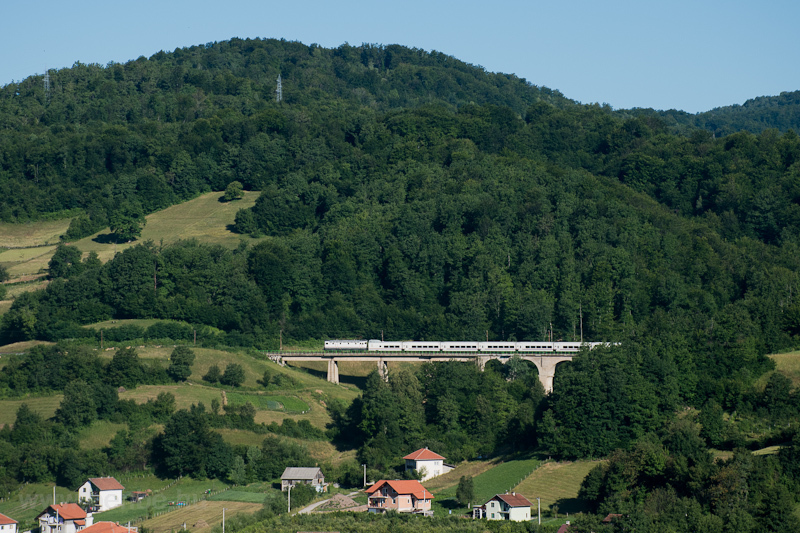 From the Banovici Coal Railway's steam locomotives to the Talgo high-speed trains of the Sarajevo-Mostar-Capljina ralway accross the Dinari Alps. 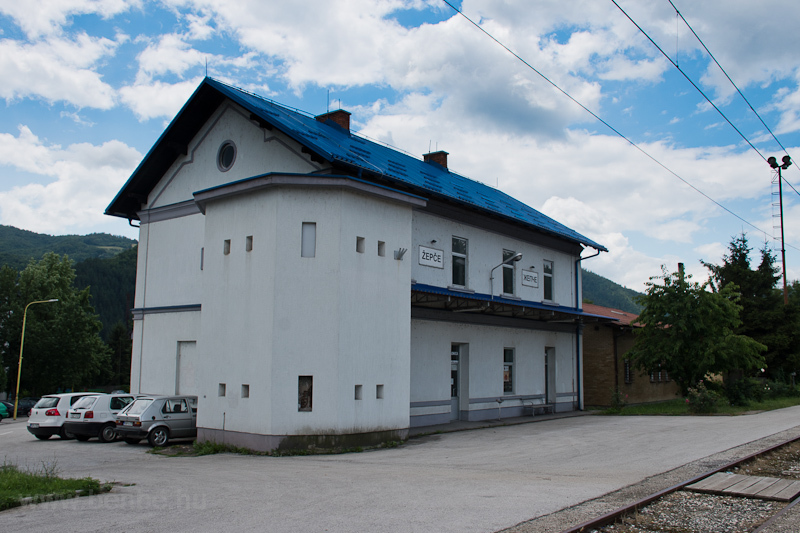 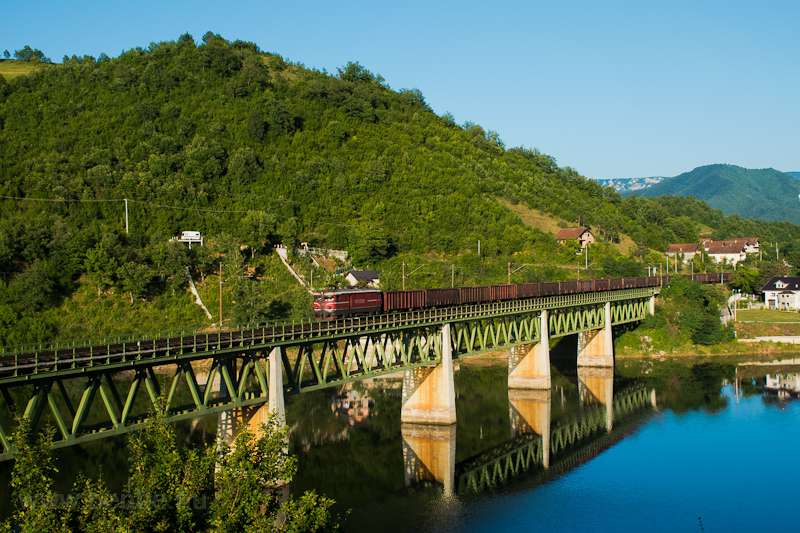 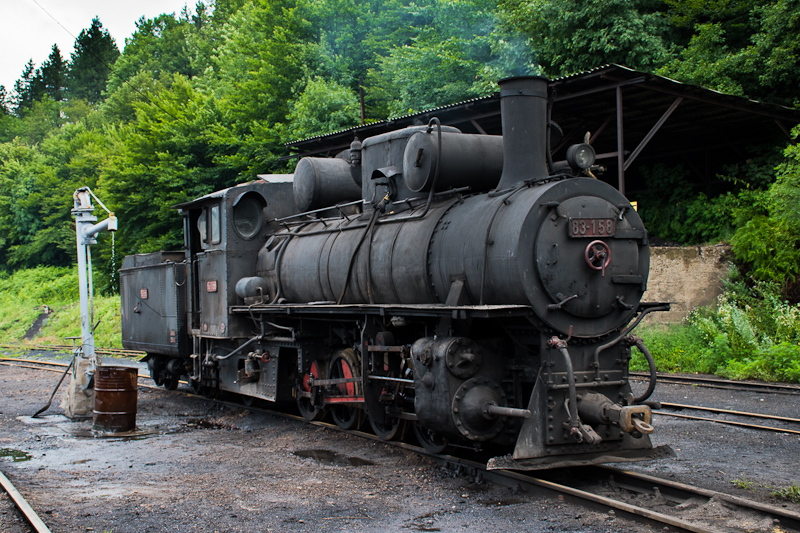 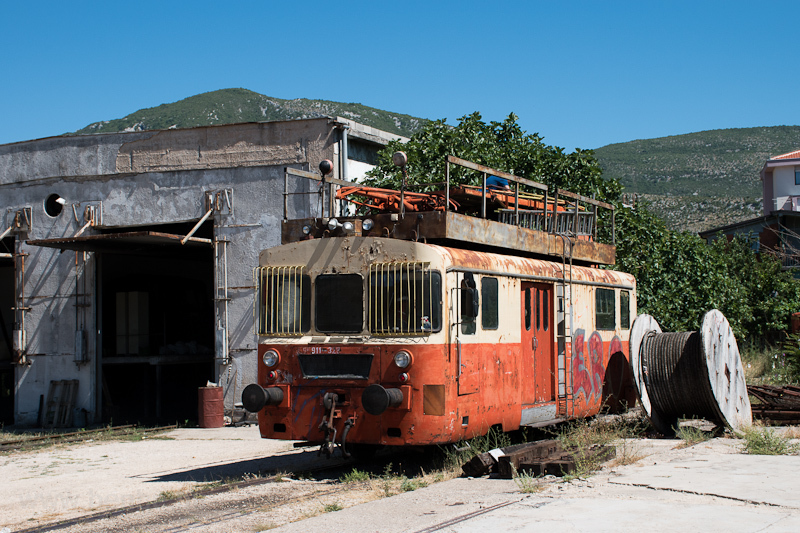 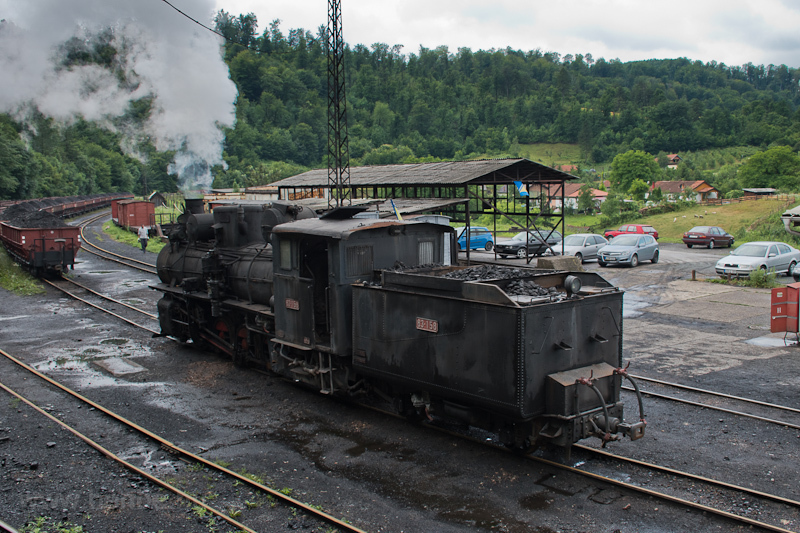 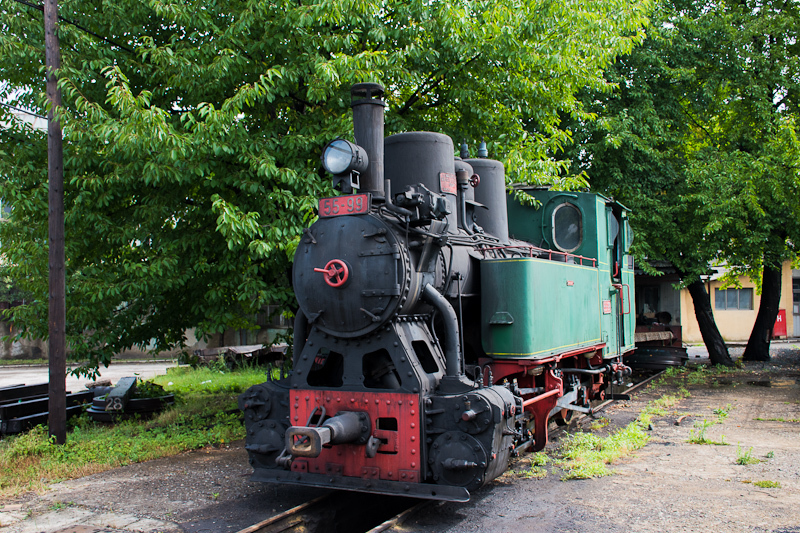 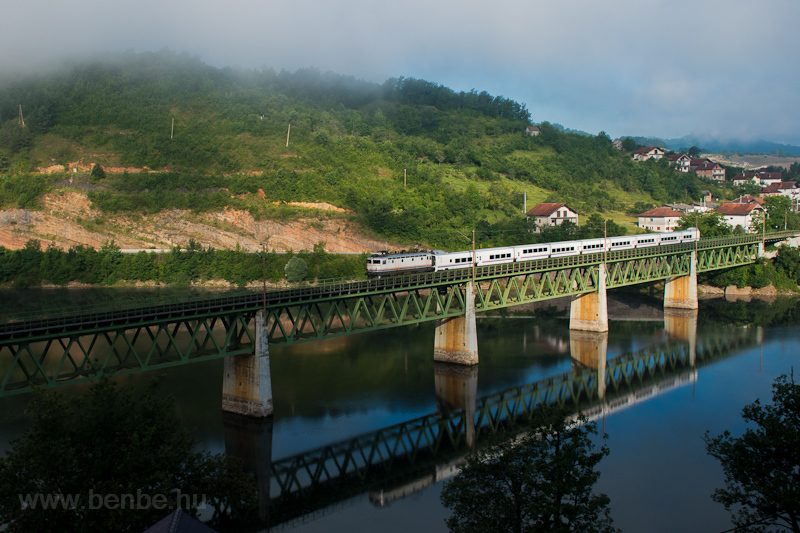 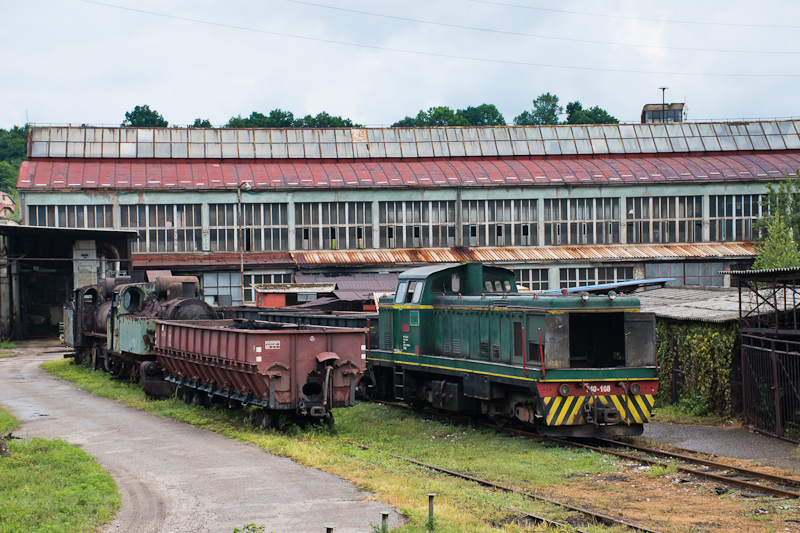 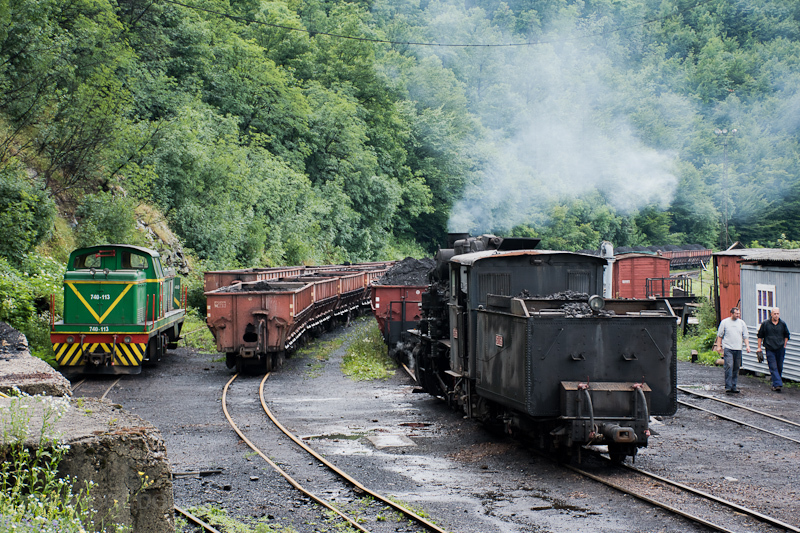 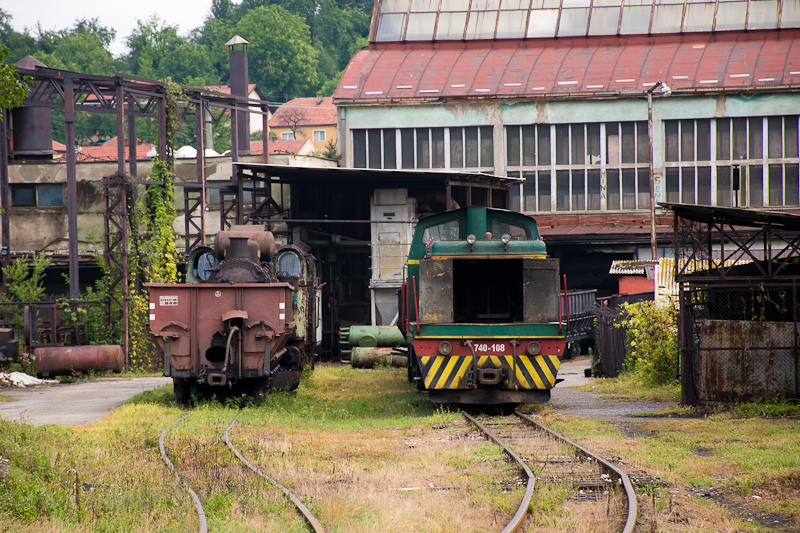 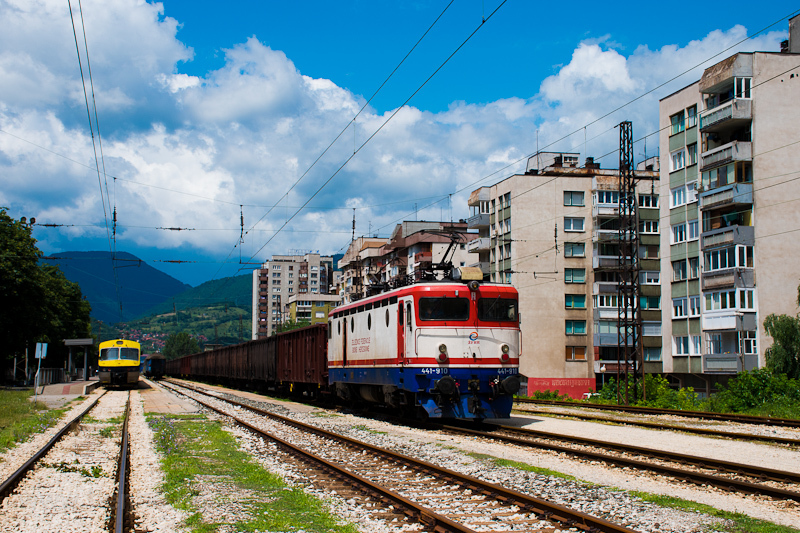 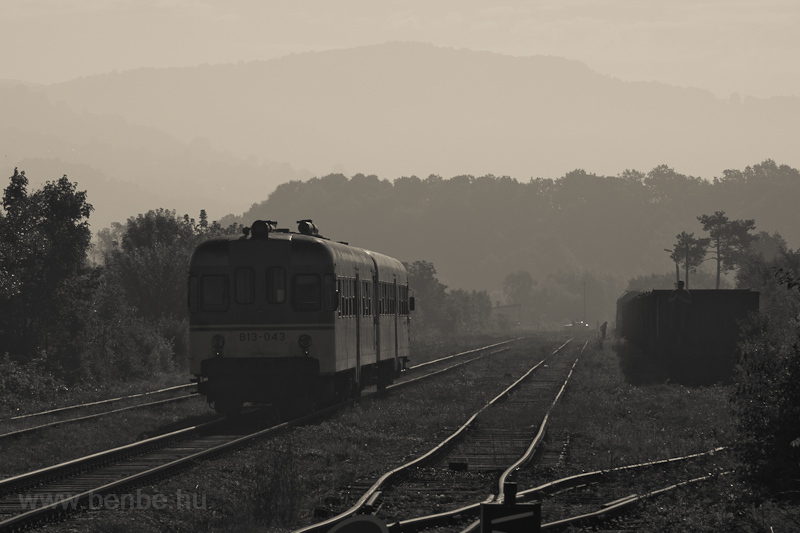 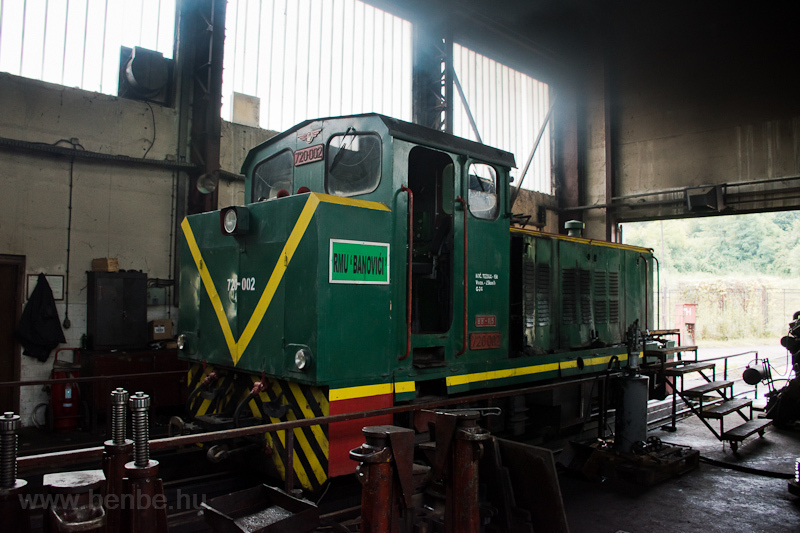 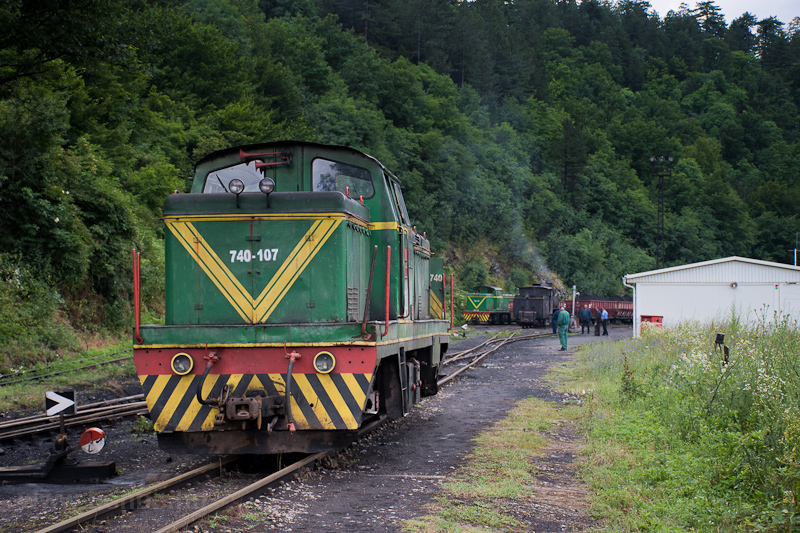 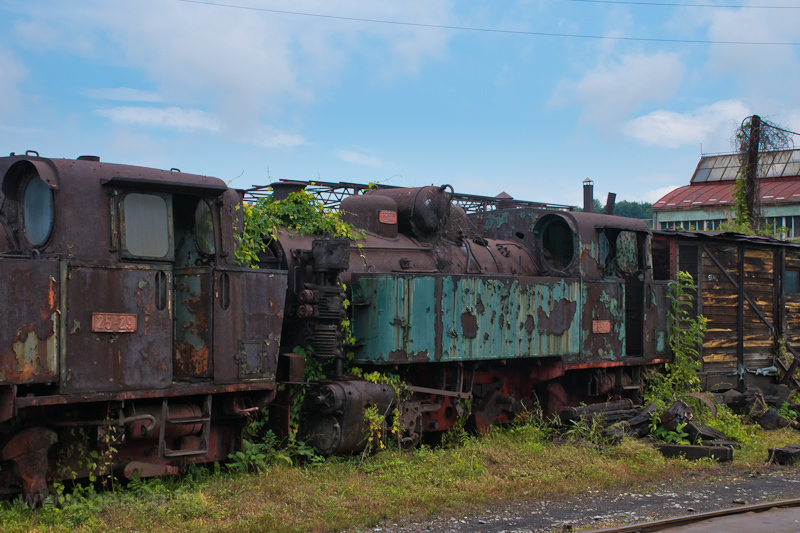 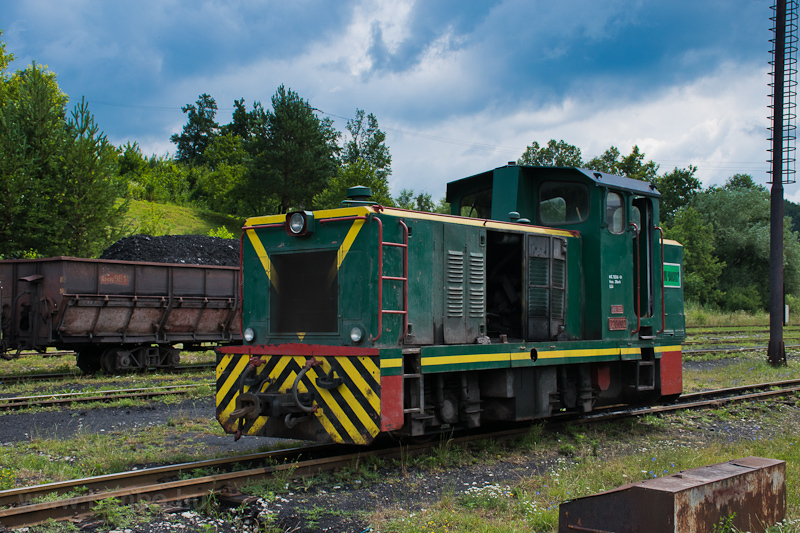 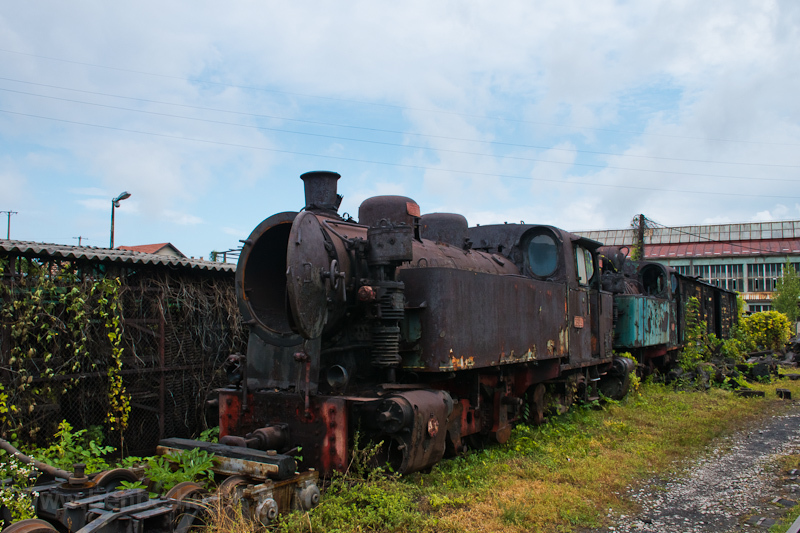 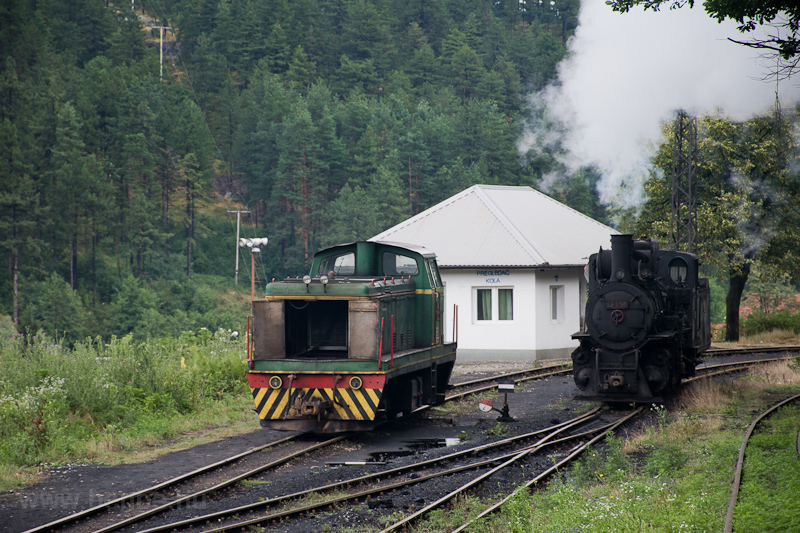 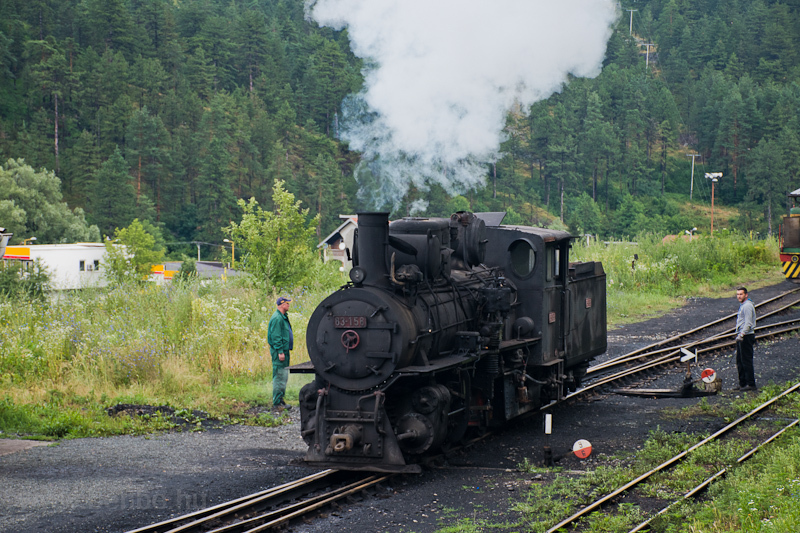 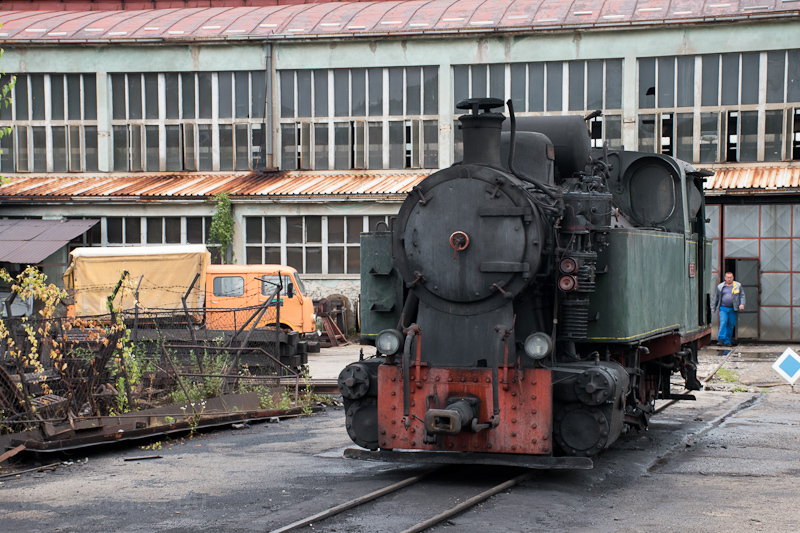 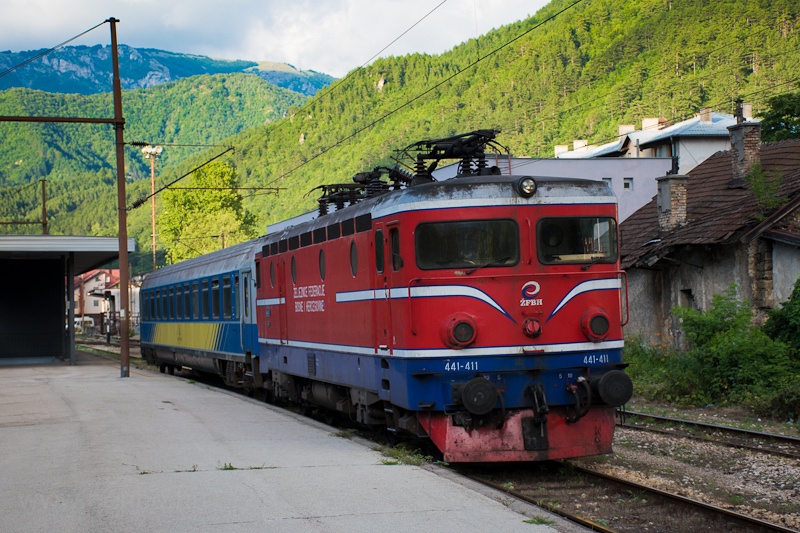 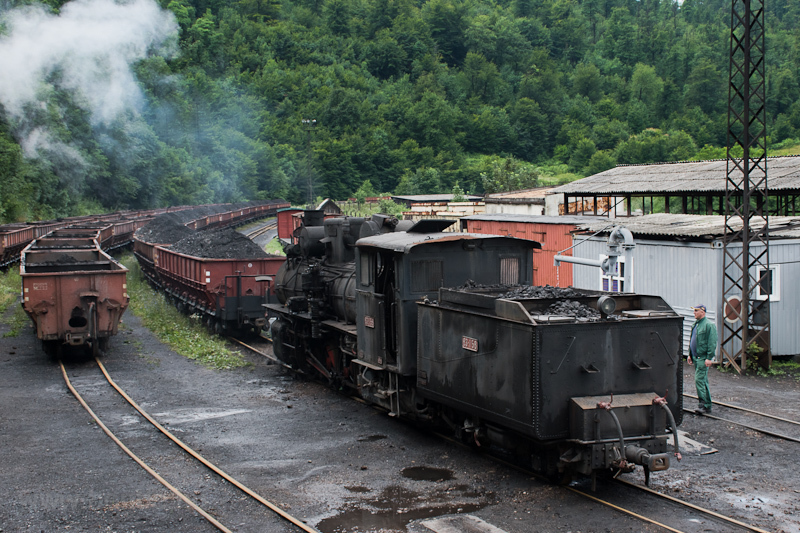 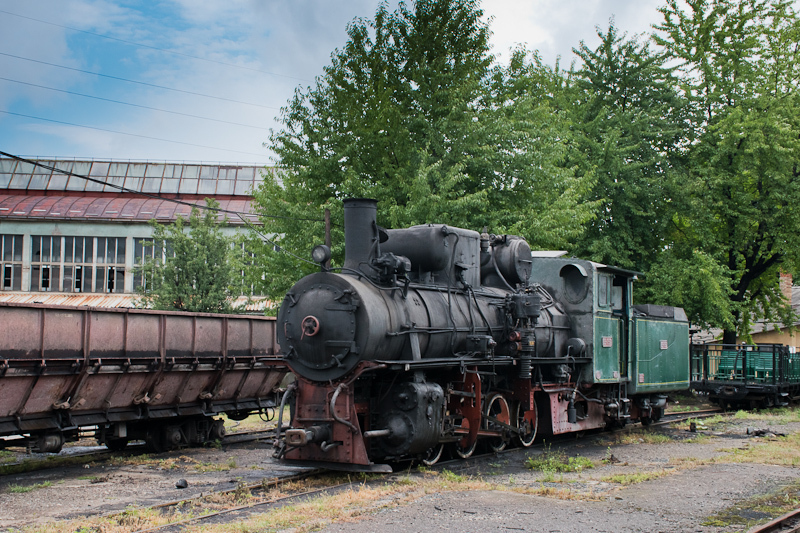 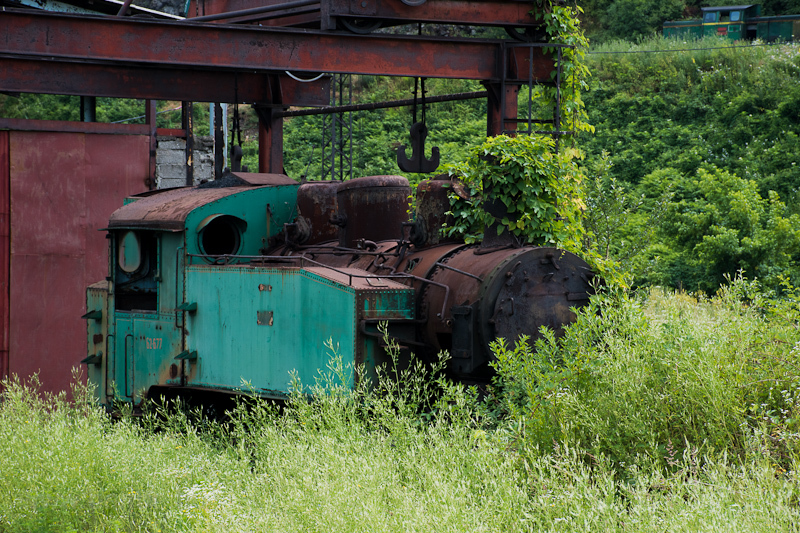 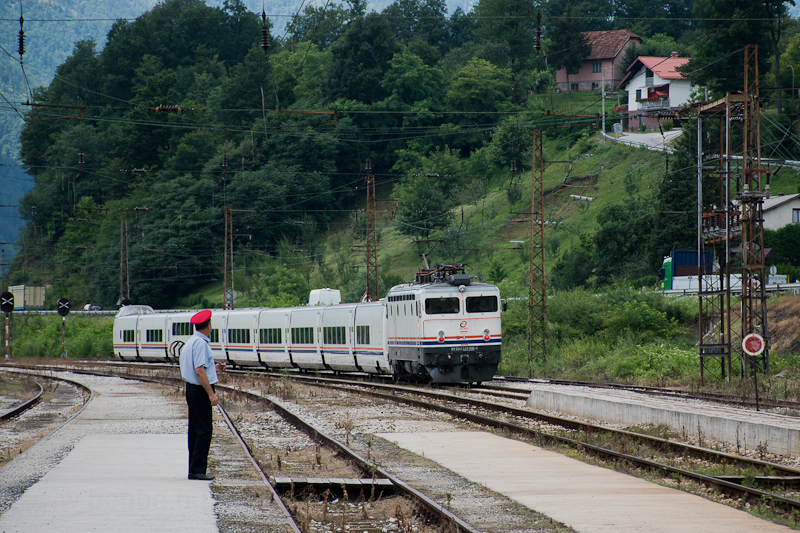 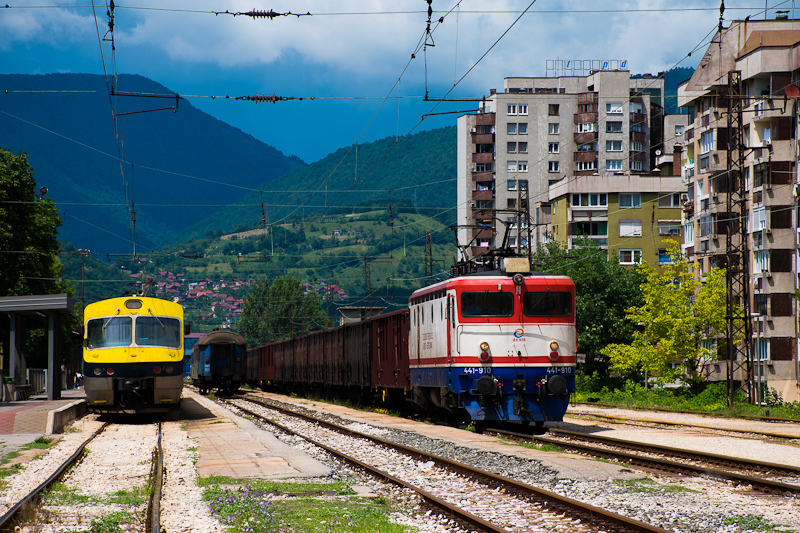 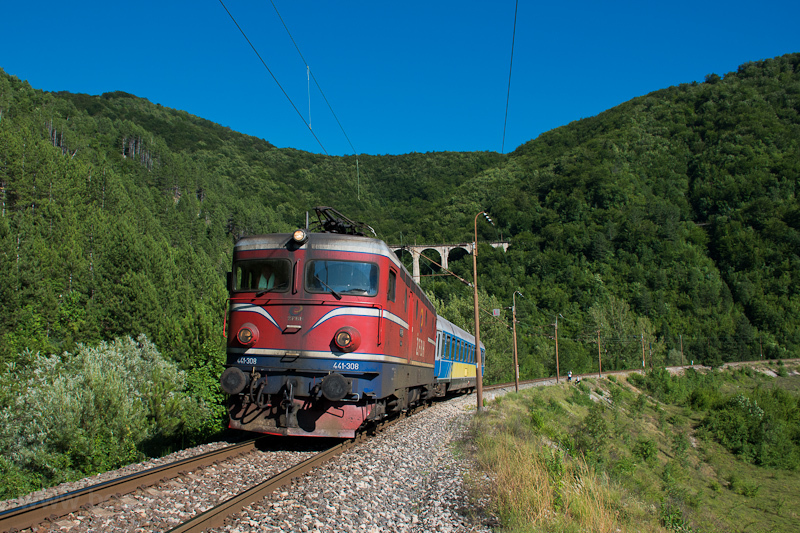 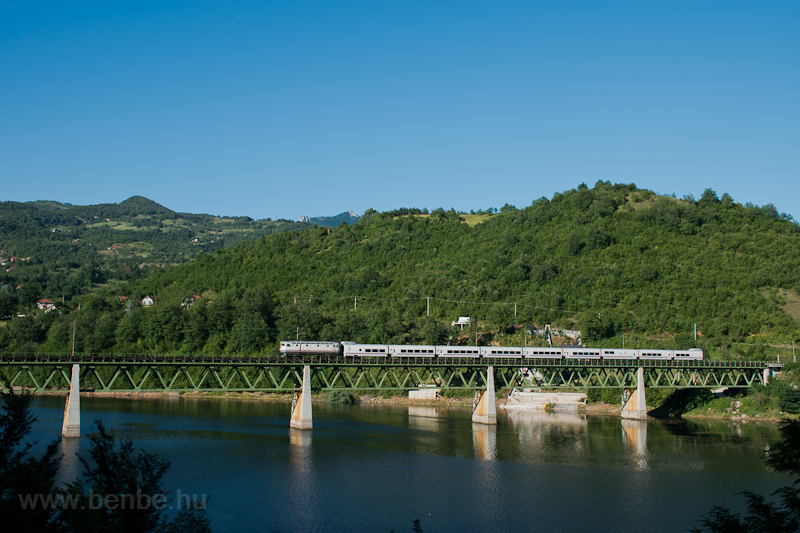 This summer's first trip led us to Bosnia where we started at the Banovići Coal Mine Railway. 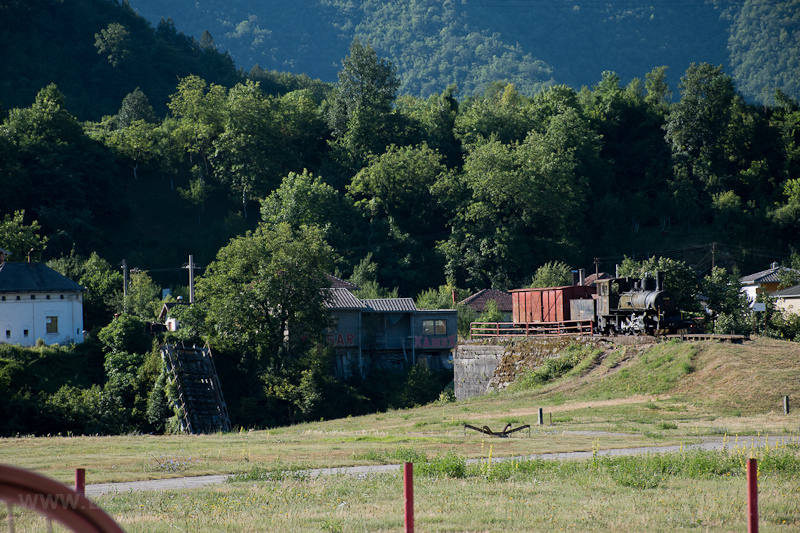 The mine administration opens at 7 on weekdays (and is closed on weekednds, even though the mines and the railway operates) and you have to buy a permit for 15 Euros apiece to be able to take photos on the railway grounds. 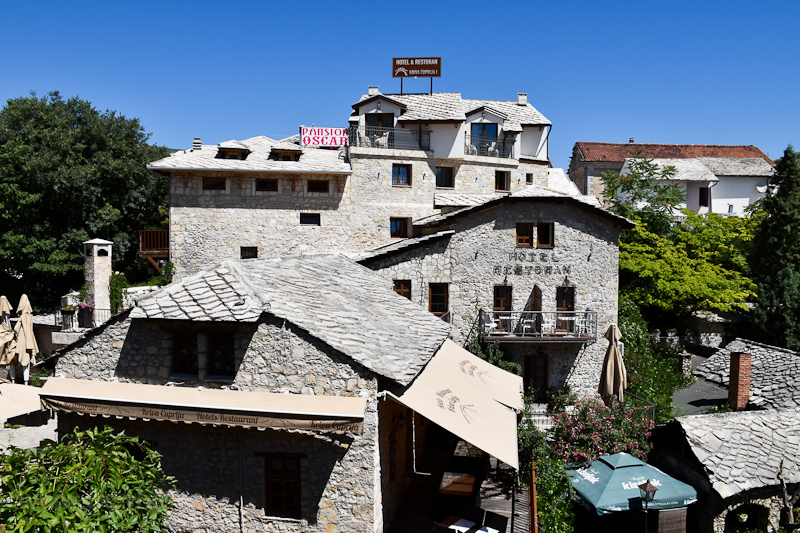 If you stay for more than one day, the additional days are cheaper. 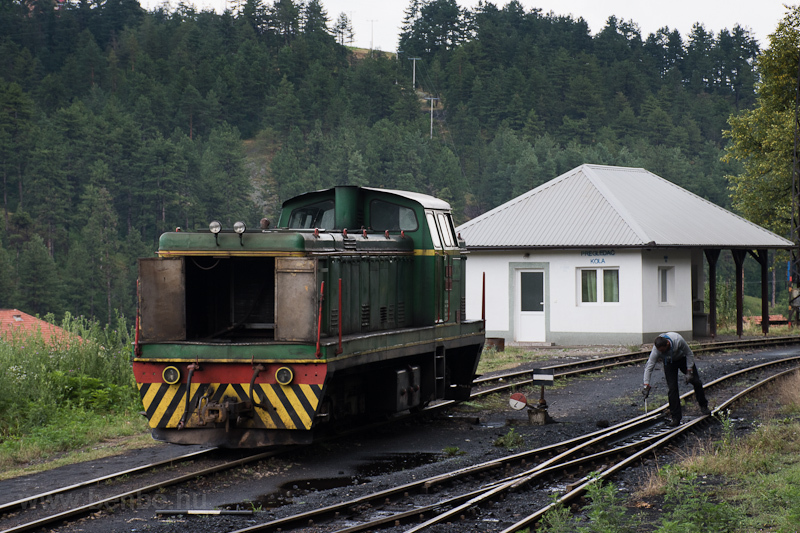 With this permit you can visit any of the loading stations, the depot and the probably mos interesting place, the Oskova unloading facility, where the steam shunters operate. 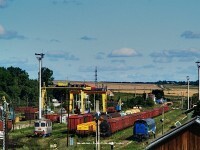 In the above map you can see the basic structure of the railway. 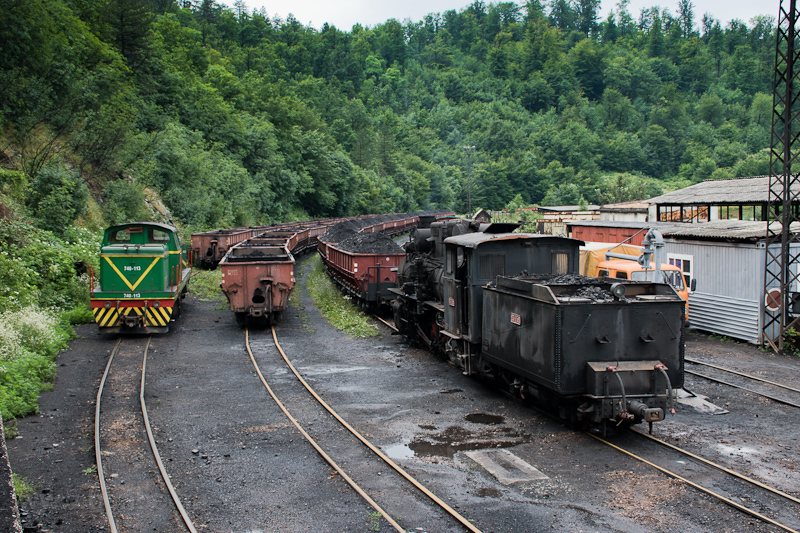 The three loading areas are connected by 760 mm (Bosnian gauge) tracks to Oskova, where the coal ins unloaded into lorries and normal-gauge cars. 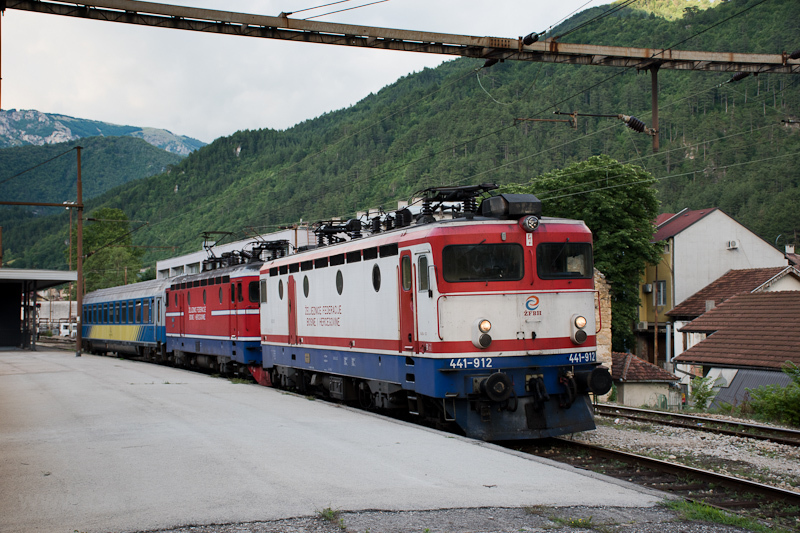 The section from the second loading bay to Oskova is double-track. 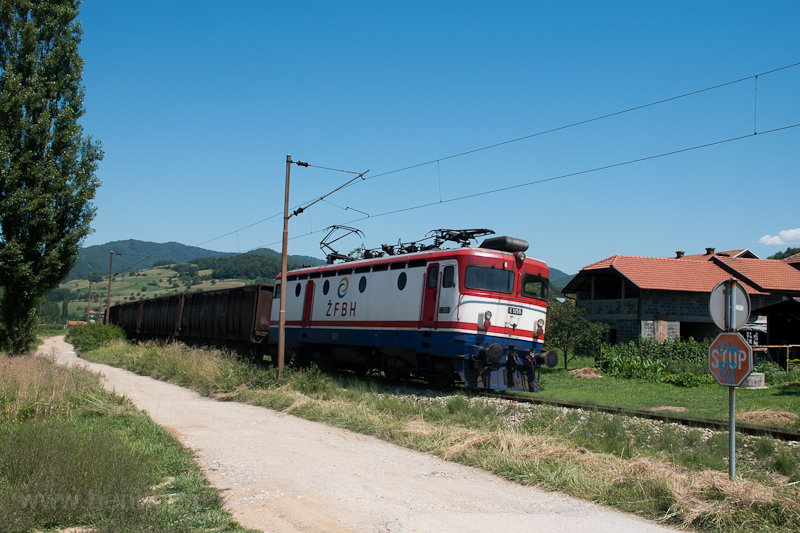 The coal trains on the line are hauled by Đuro Đaković diesel locomotives, only the Oskova shunter is a steamer, because the diesels don't fit in the unloader. 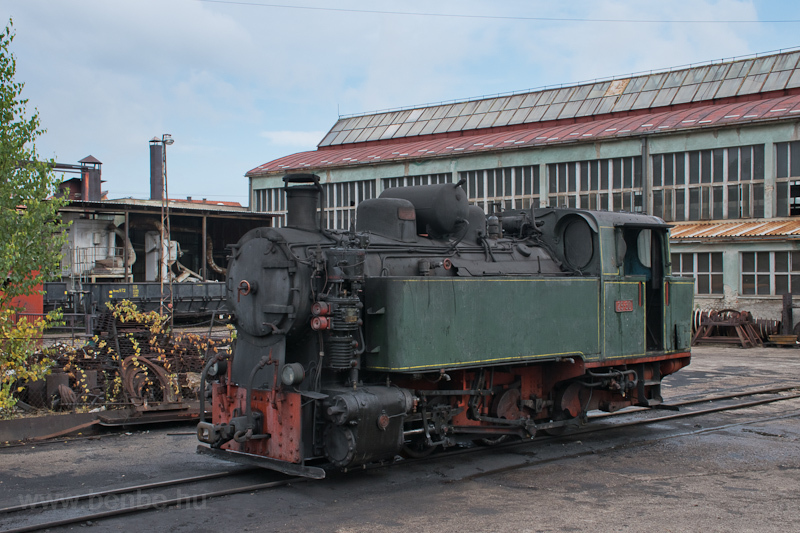 The shunters at other stations are smaller, two-axle diesels. 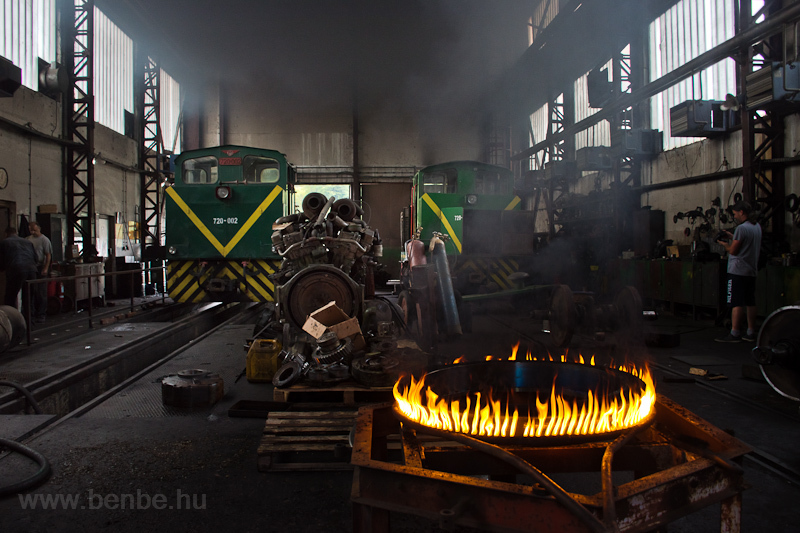 They are heating a wheel's tread (tyre) so it could be fit on the boss. 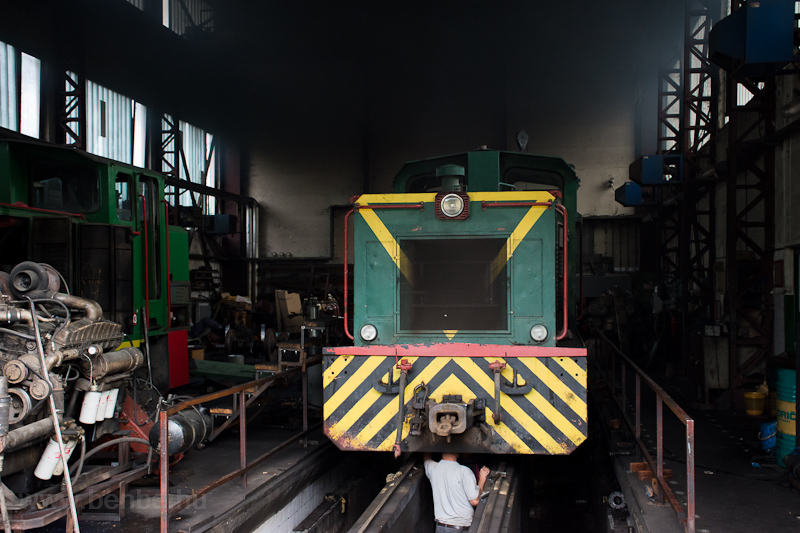 Because of thermal expansion, when cooled down, the rim will get stuck on the boss inmovably. 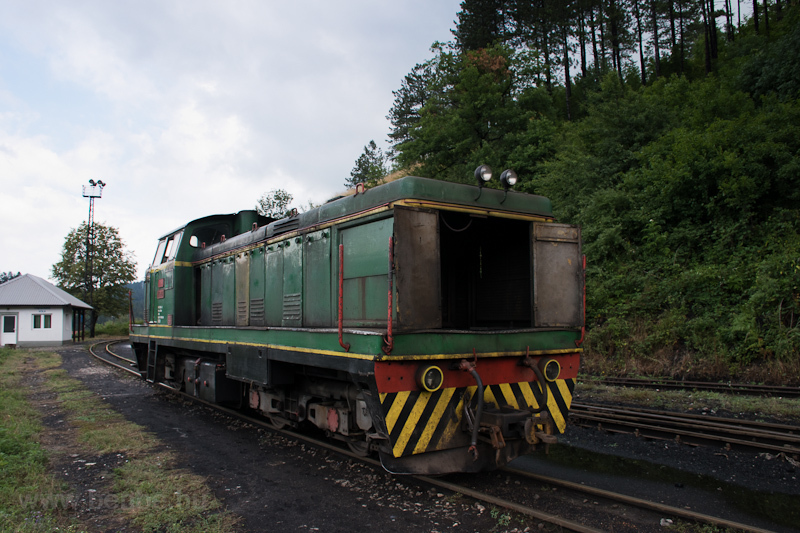 This one is a Hungarian MÁVAG-built class 490 locomotive which was restored in 2009 to working condition for the proposed rebuilding of the Forestry Railway that would have led from Oskova to a nearby forest hotel. 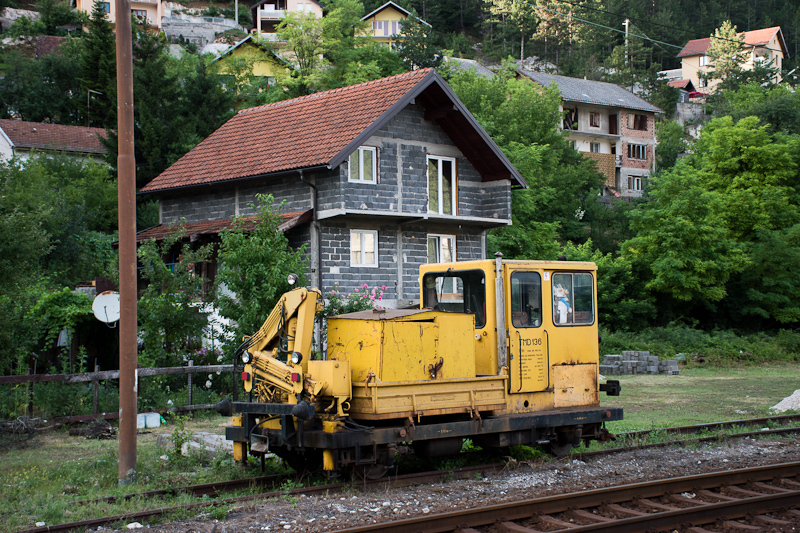 The construction works never began. 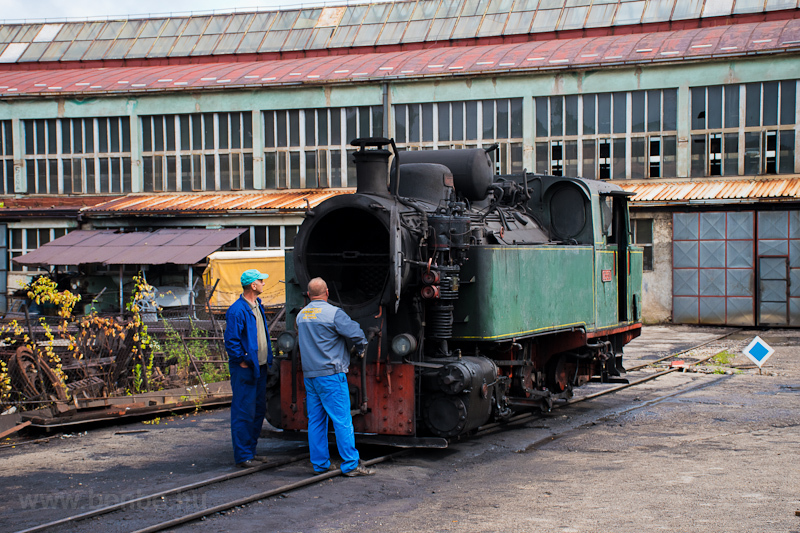 That day this one was the only steamer on duty but even this one had nothing to do. 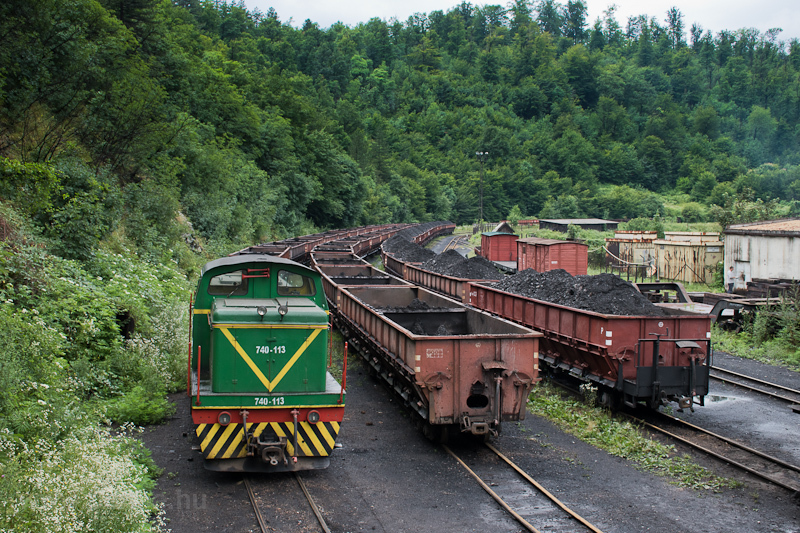 The tracks were full with coal trains but there were no lorries waiting to be served, nor any normal-gauge freight cars waiting to be loaded, so the steamer didn't have to bring cars to the unloader. 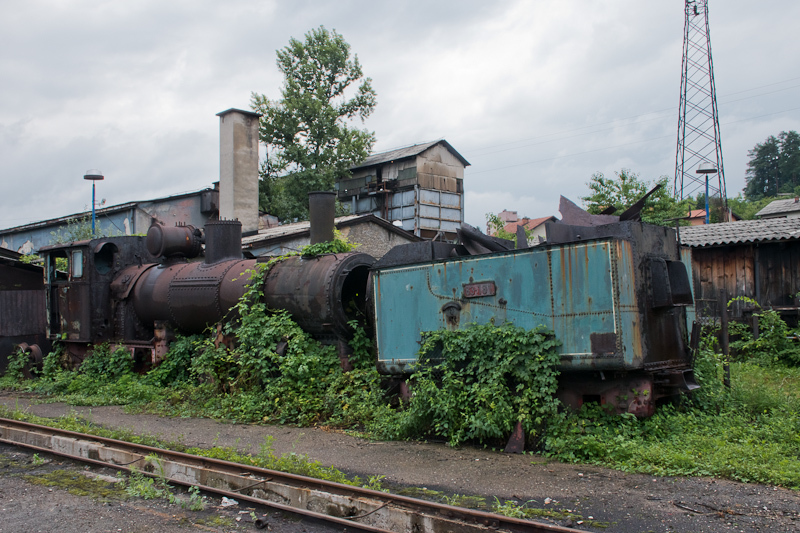 The sidings before the unloader were full with coal trains, but unfortunately no lorries or normal-gauge cars were waiting for fresh coal, so the steamer was left here in steam, but without a job. 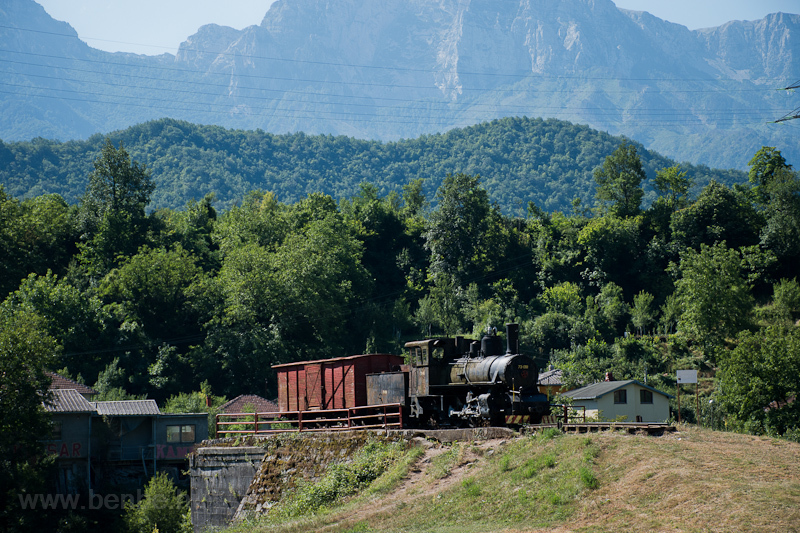 A video was made of the moving steam locomotive, these clips will be in the short film you can see at the end of the album, together with my other videos taken in Bosnia. 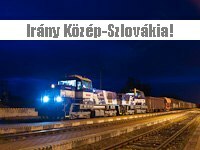 I believe it is worth seeing, so read on please! 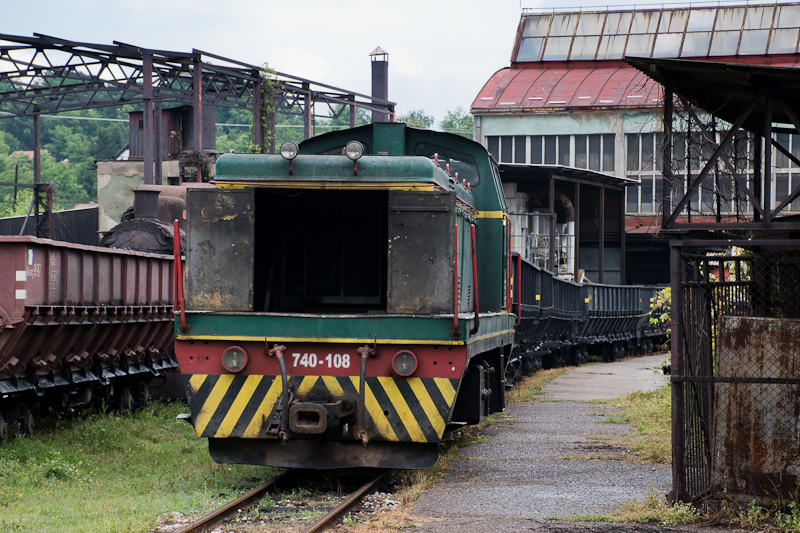 Closing the narrow-gauge railway is always in planning. 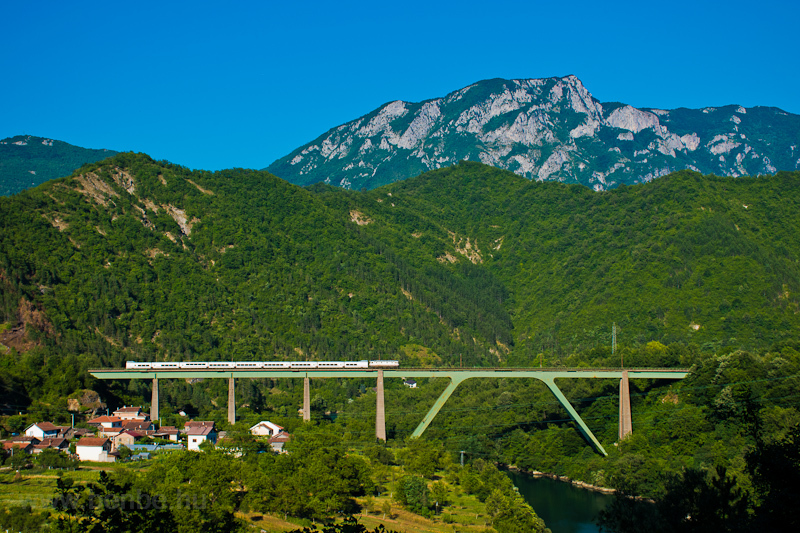 Completely moving to the roads is impossible as they are narrow and curvy, but for example a conveyor belt would fit in the place of the tracks. 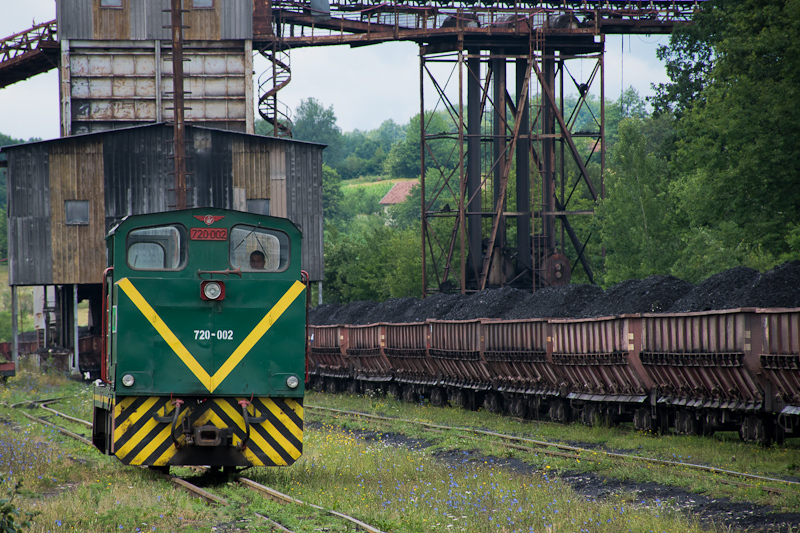 The railway is only a small step in the transfer anyway: the loading areas are far from the mines so lorries and existing conveyor belts bring the coal to the small trains that cannot reach the costumers directly as the narrow-gauge tracks are not reaching for example the Tuzla power plant. 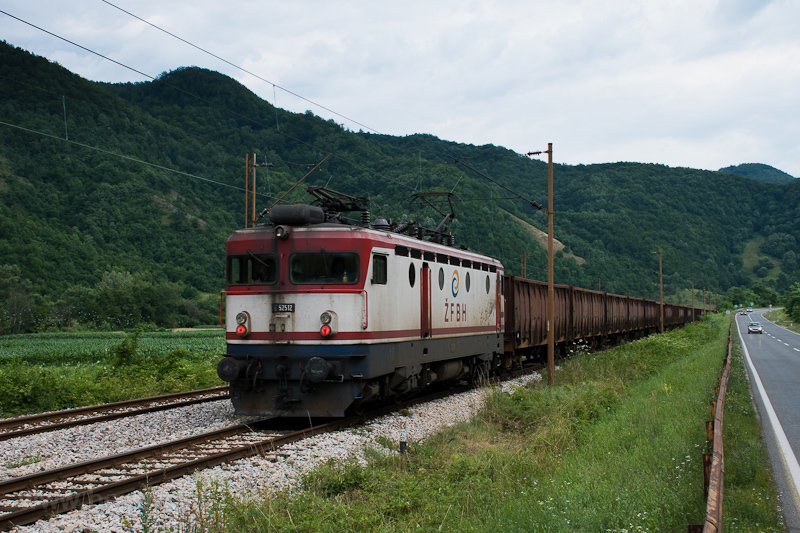 We didn't expect a freight train here as there are expansion works going on at the Rijeka port, where normally the iron ore for the Zenica steel mill comes from (that's why the track is double-track to the North from Zenica and not towards the capital), but we were lucky to catch one travelling on the wrong track (thus the red headlights). 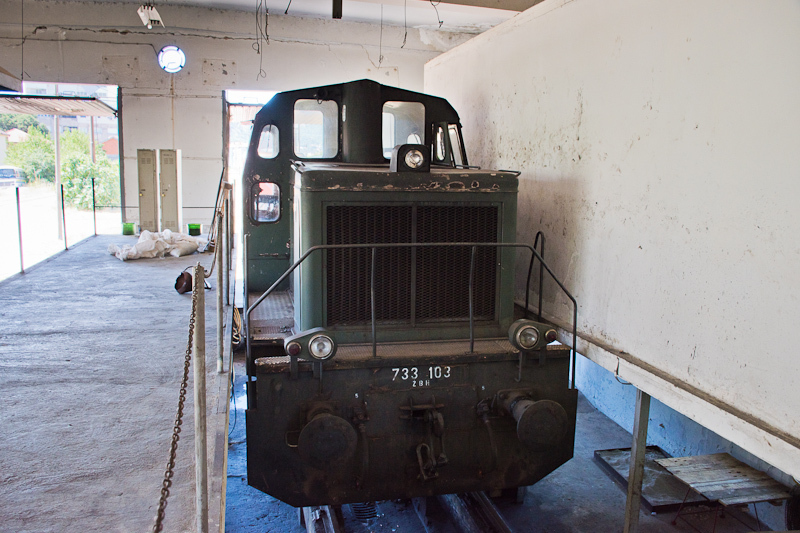 We thought based on the wear on the rails that the other track is just rarely used. 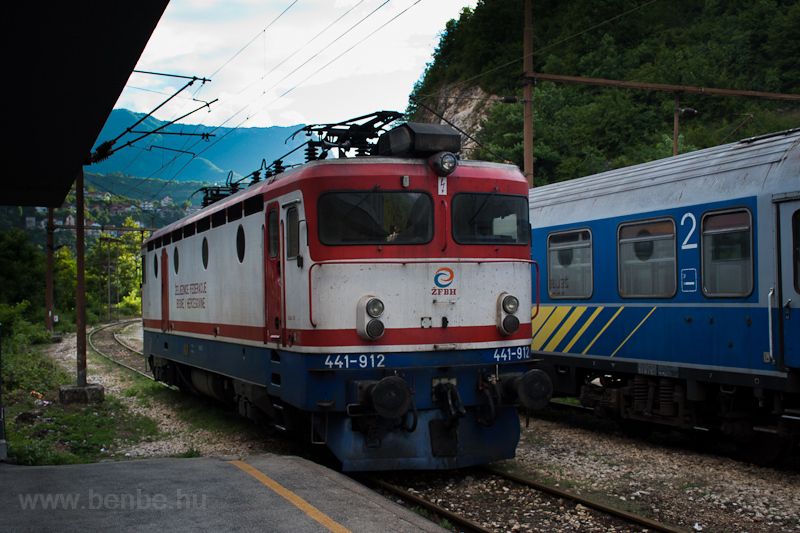 The idea behind this trip was that now the irone ore comes to Ploče so there are a lot more freight trains on the Zenica-Sarajevo-Mostar-Ploče railway accross the mountains, bringing iron ore from the port to the mill and (using the same Eas cars) freshly milled steel plates and casts from Zenica down to the port, over the Ivan pass. 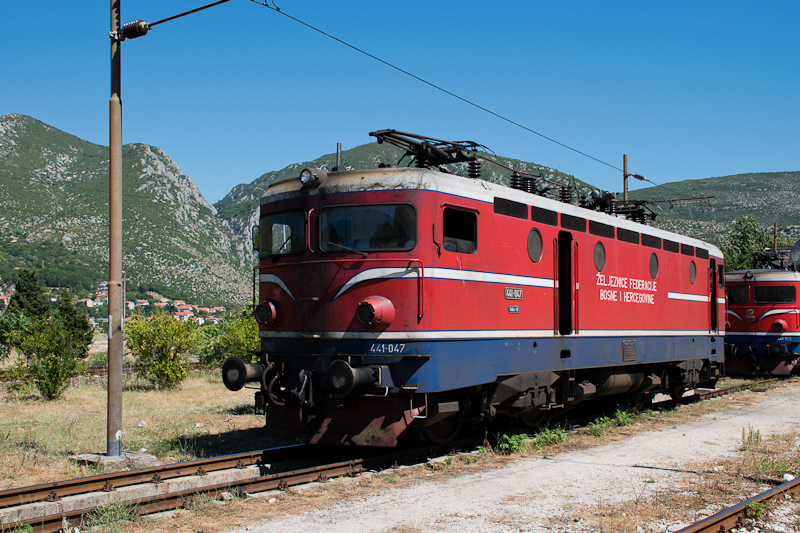 Before the electrification of its main lines the Railways of Yugoslavia (JŽ) had a number of different diesel multiple units in service. 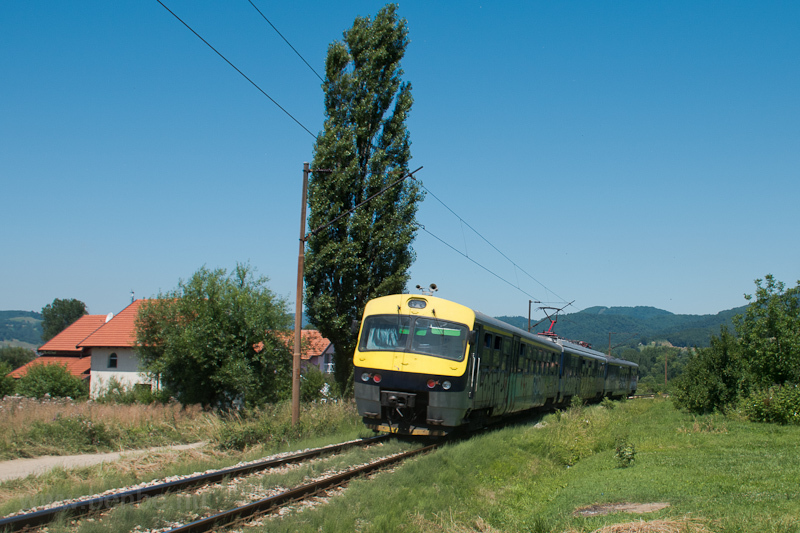 Fast trains were replaced by locomotive hauled electric trains but regional trains received the new, Hungarian Ganz-MÁVAG built EMUs. 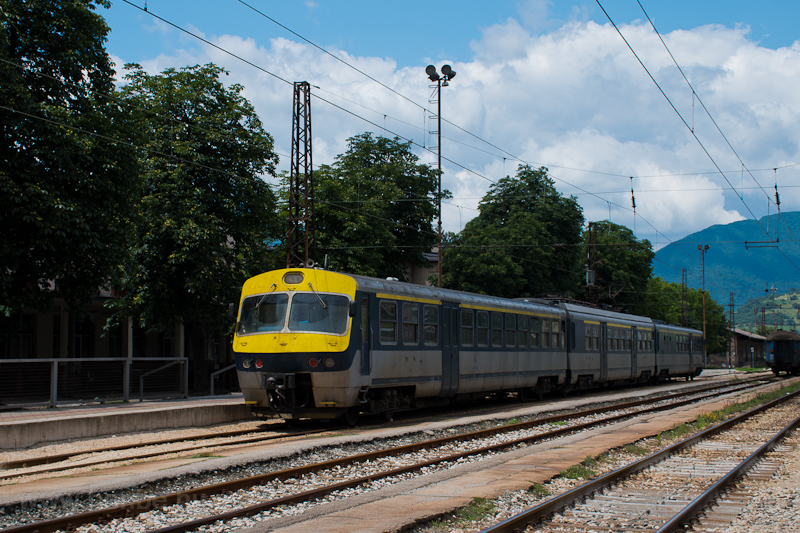 The three-car sets consist of a central motor car (much like the Swiss TEE EMU) and two unmotorized driving trailers. 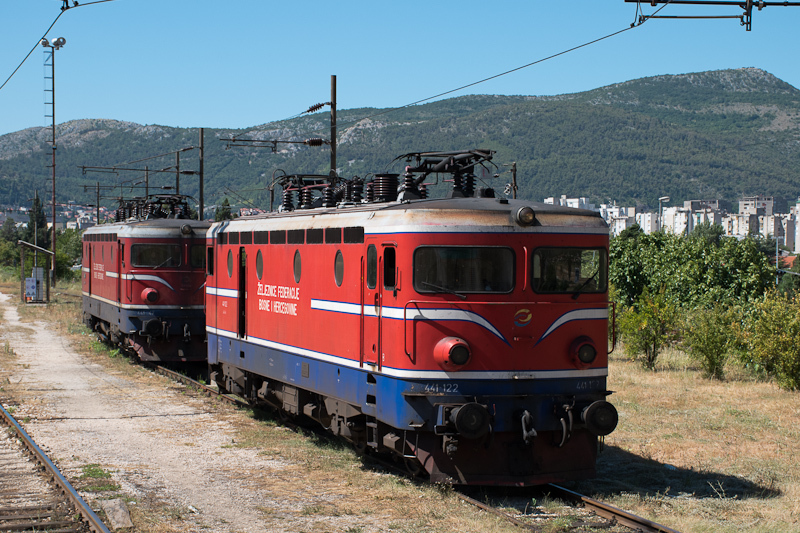 Three such sets can be coupled together to increase the capacity of the train, but the three-car units fit perfectly the needs of Yugoslavia, where many small, but important towns competed instead of having one big capital and a rural countryside like in Hungary for example. 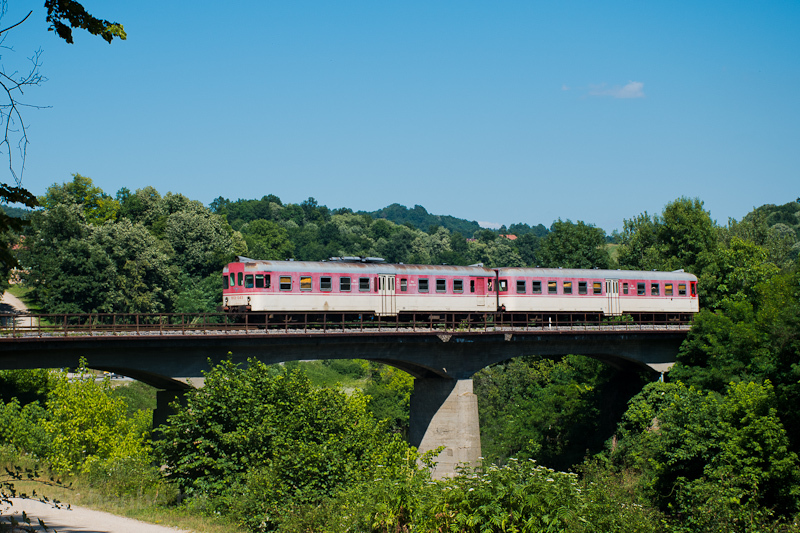 he units were built in the late 1970s and some of them were first class only, as Olimpik Express, to serve during the 1984 Winter Olympics of Sarajevo. 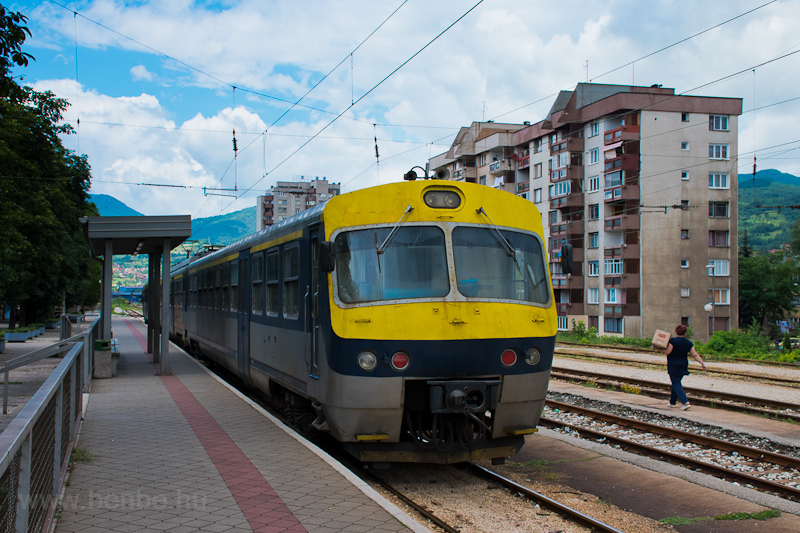 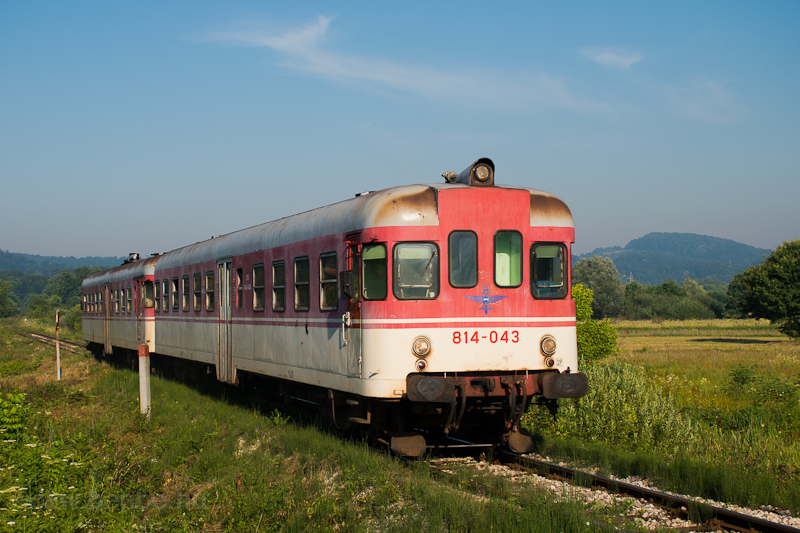 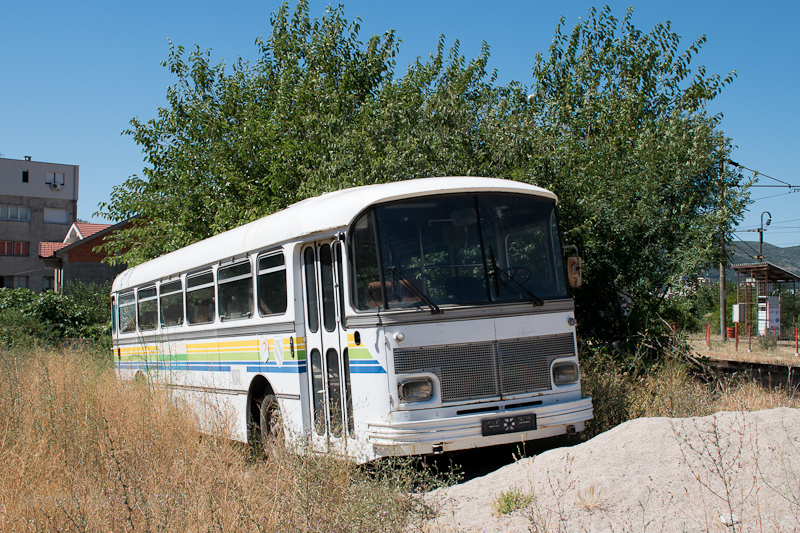 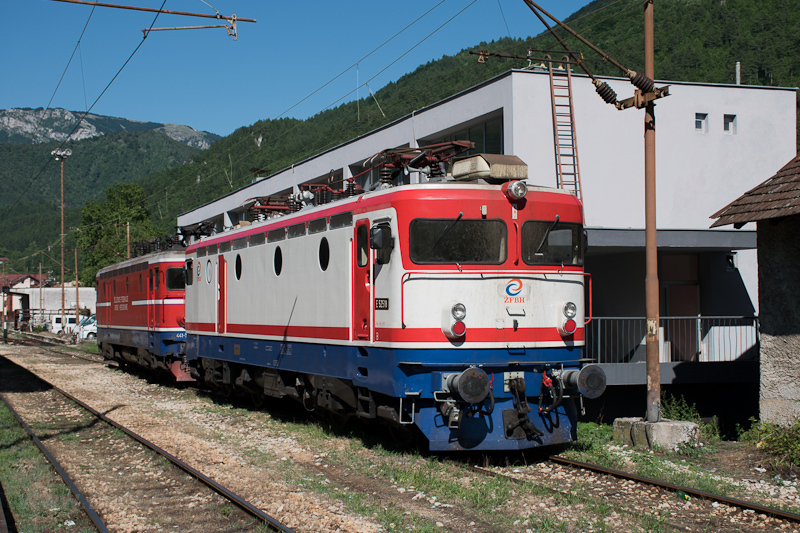 Two such units are still used by ŽFBH as Zenica-Sarajevo locals, all other sets are out of use in the country (Croatia also uses commuter versions of the sets around Zagreb). 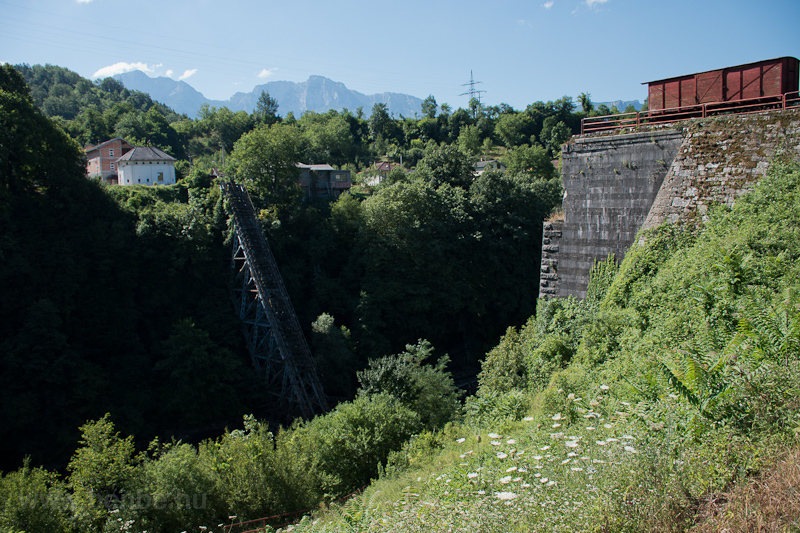 The problem is, that every day there is a long closure of the track in the day to look for fallen trees and stone ravines, and because of that, there is a little amount of freight traffic during the day. 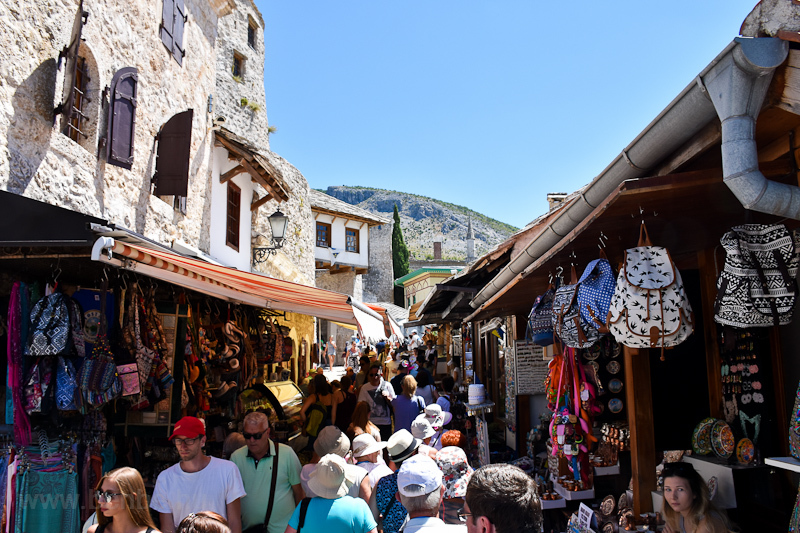 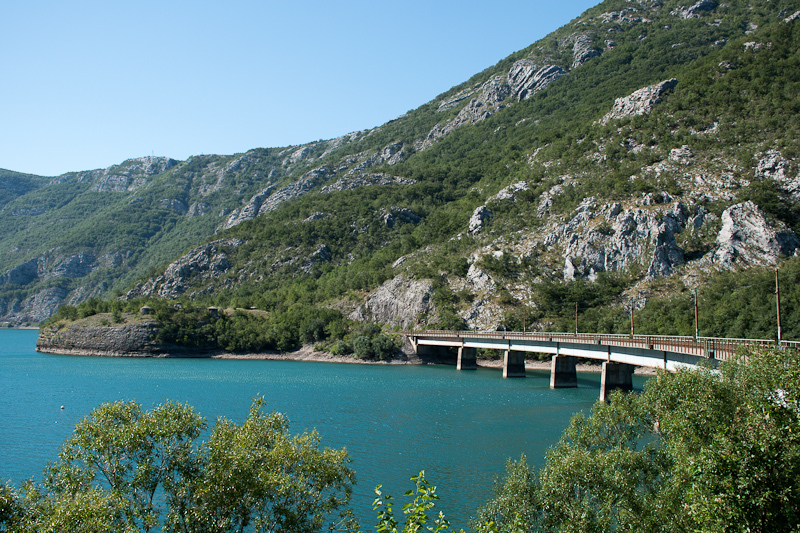 When going on to the Neretva gorge, don't take the direct path accross some dirt roads, but go back to Konjic to cross the Neretva, it is a lot safer and faster. 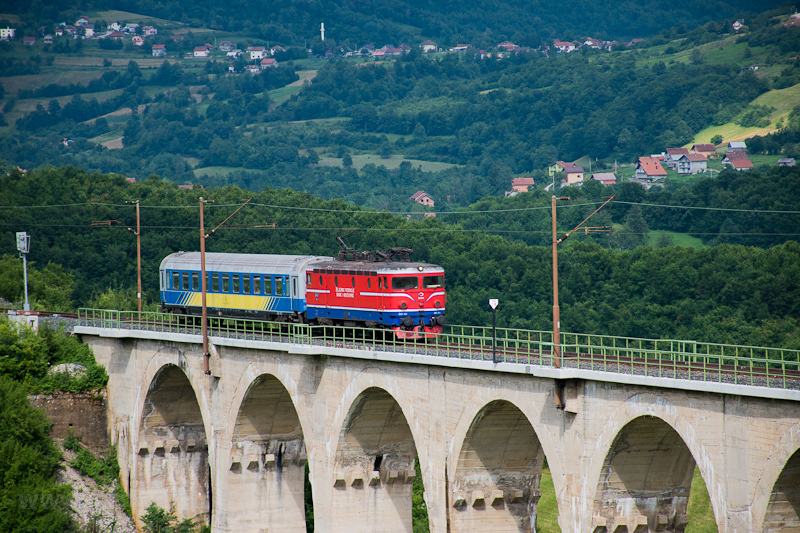 I took a few photos of this bridge with old, conventional car trains a few years back, I think they were quite good. 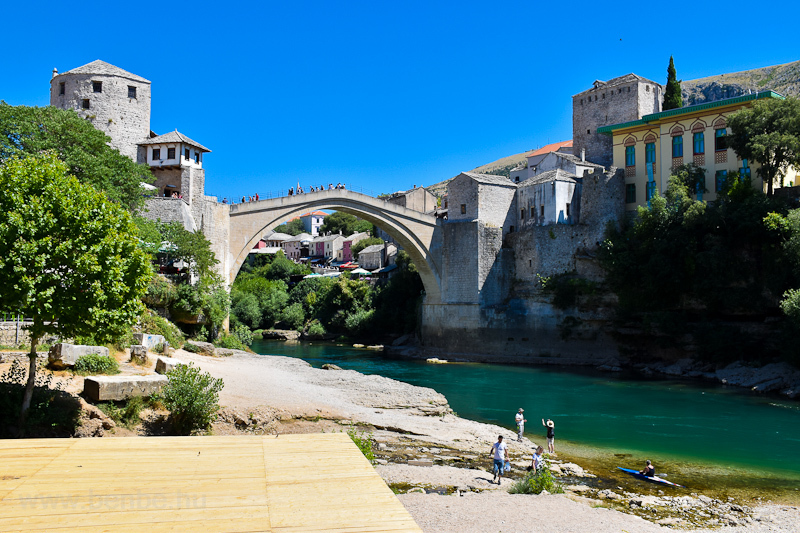 In the meantime a fish restaurant opened at the place with a viewpoint, but I think, even though the food is good, the photos are still best from our points of view. 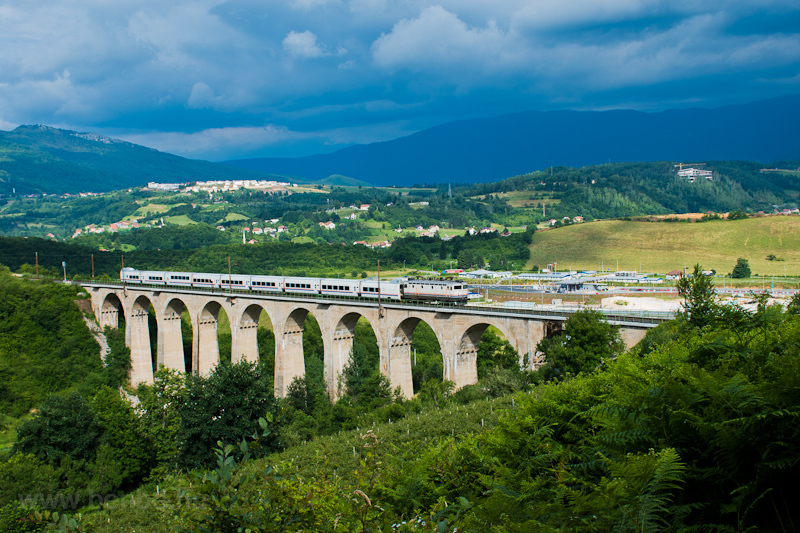 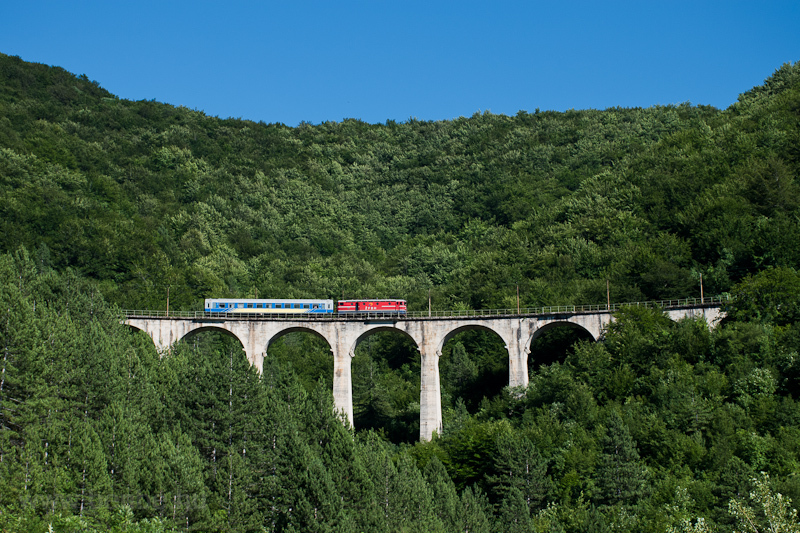 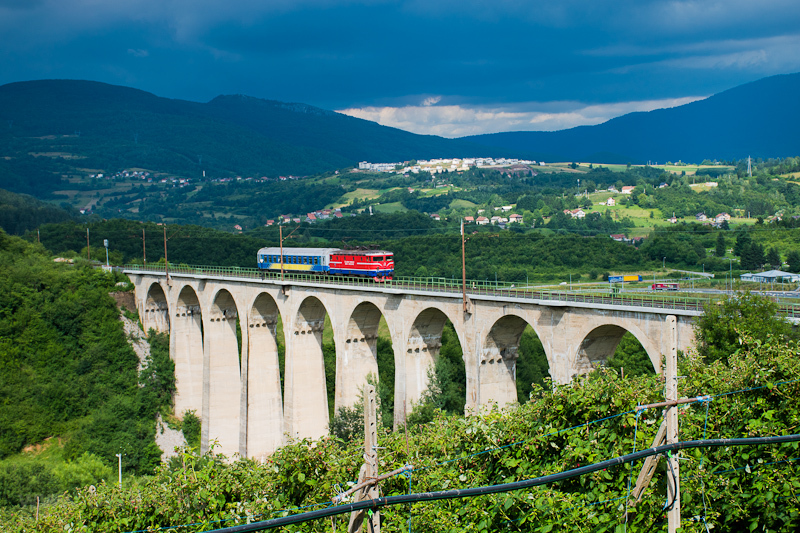 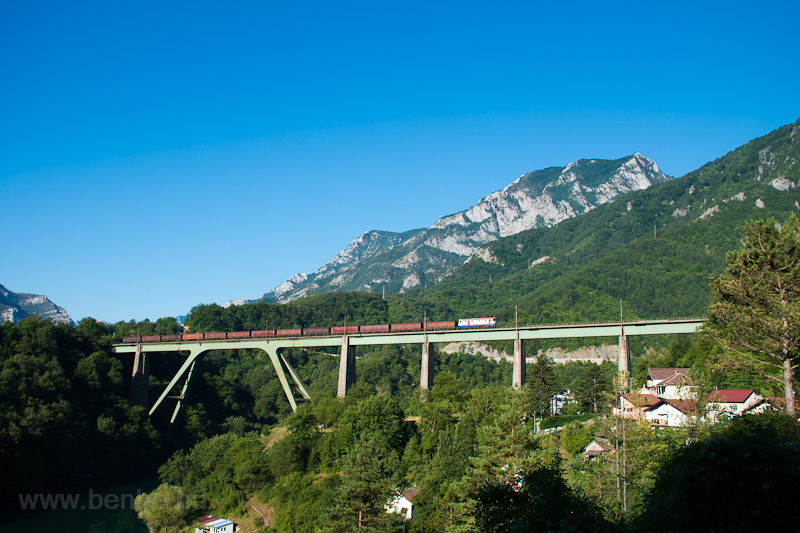 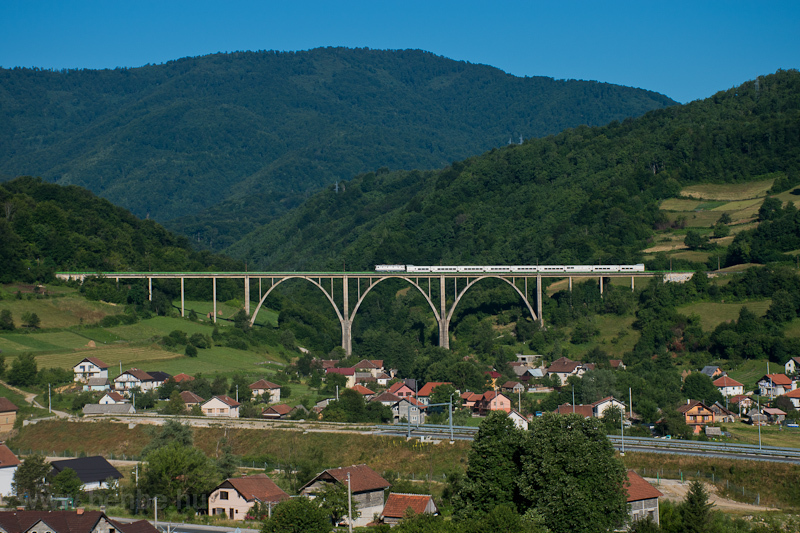 The so-called Gazela-viaduct near Jablanica got its name from the head to the right, the tail to the left, and the four legs. 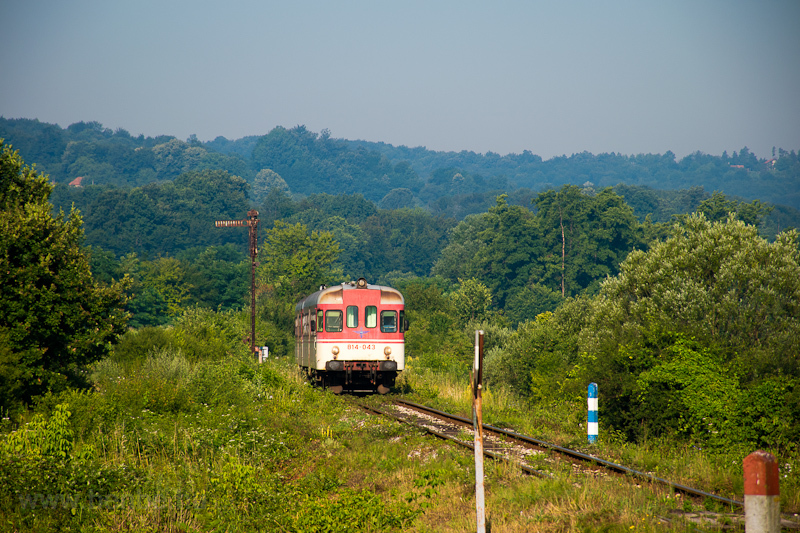 There were no freight trains during the day because of the usual daily closure for track inspection (there are many accidents because of trees or rocks falling on the track). 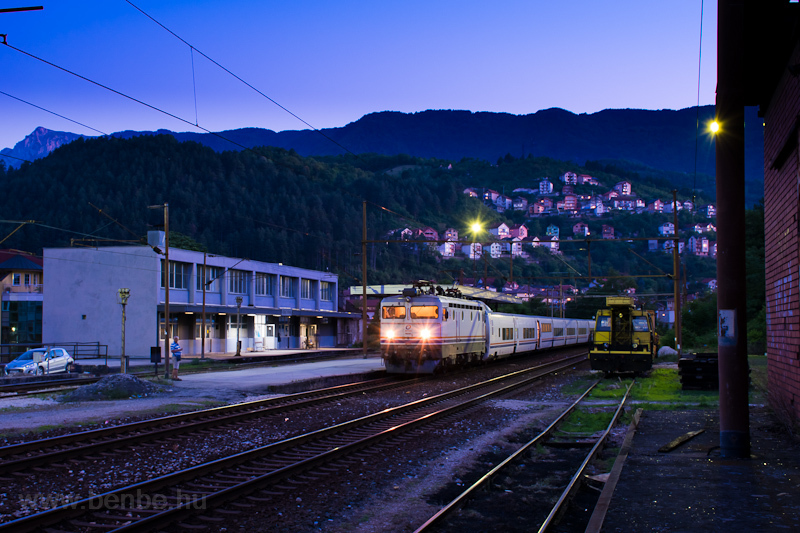 The night is full of freighters though. 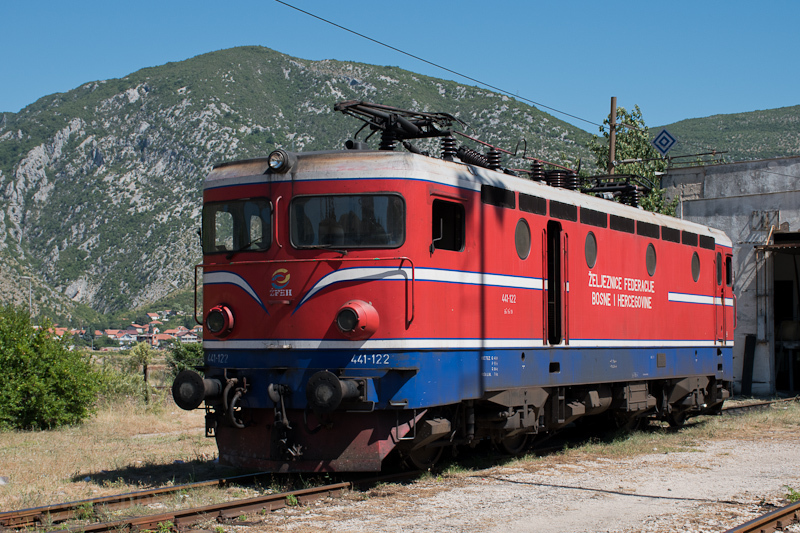 Because of the expansion of the Rijeka Harbour, all Zenica-bound traffic (iron ore from the port to Zenica, steel blocks back to the port) is going accross Ploče and using the Neretva-railway. 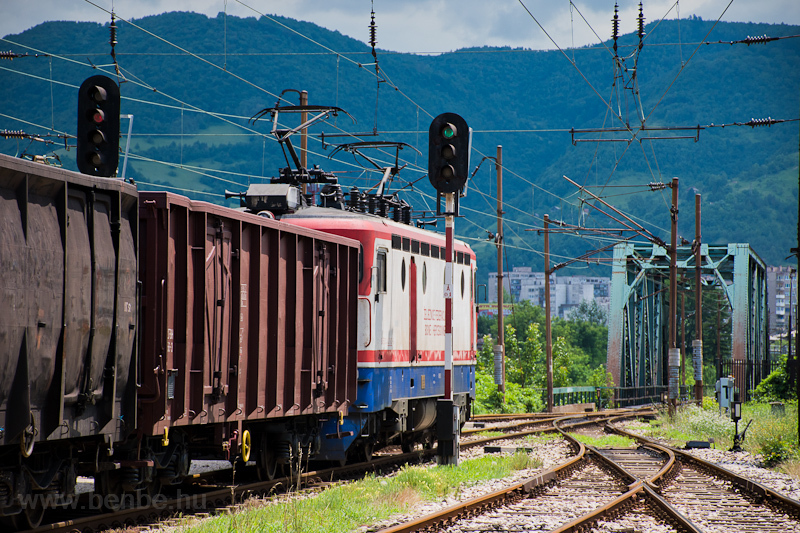 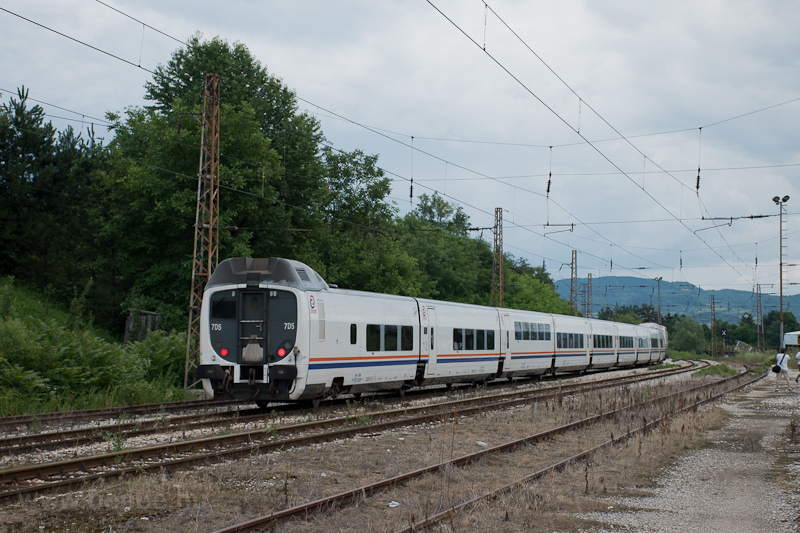 Because Ploče has poorer equipment for loading and unloading it makes it more expensive, so when Rijeka gets back to full (and increased) capacity, the freight trains will leave the Ivan-pass and return to the Banja Luka - Fiume route. 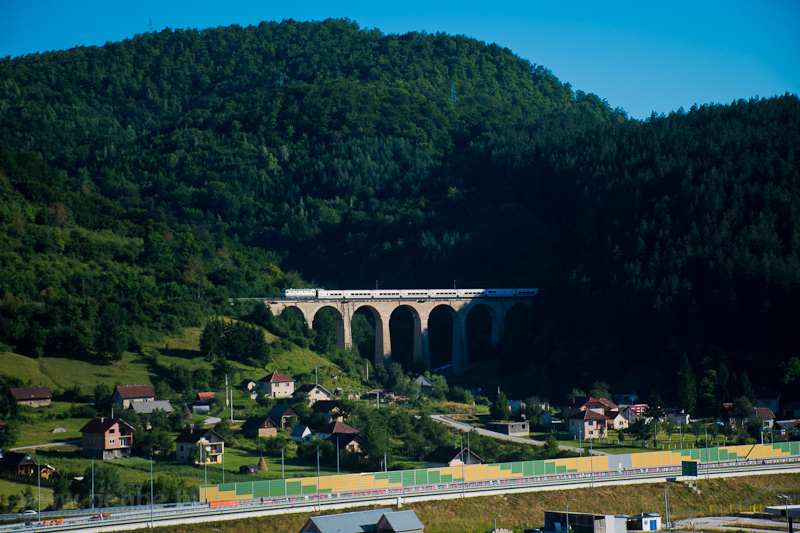 The end of the Zenica-Tarčin motorway is visible in the foreground.